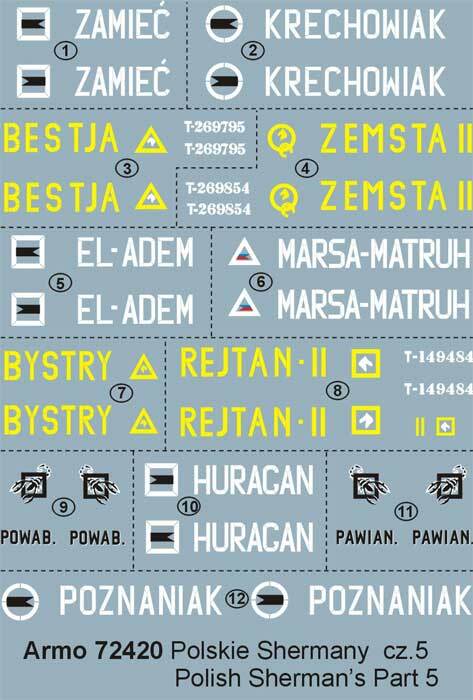 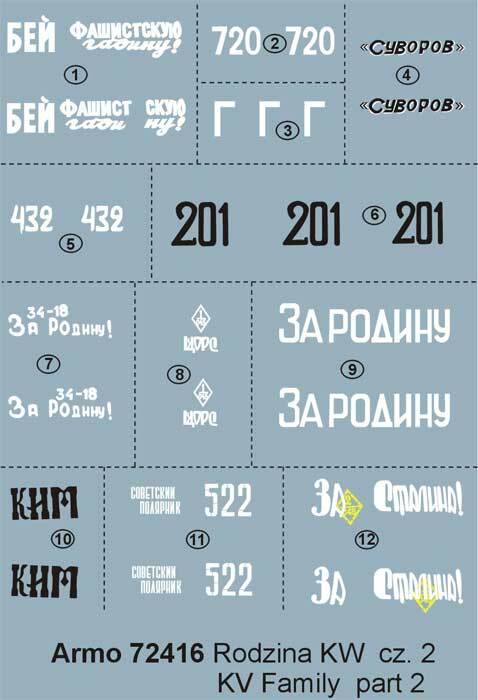 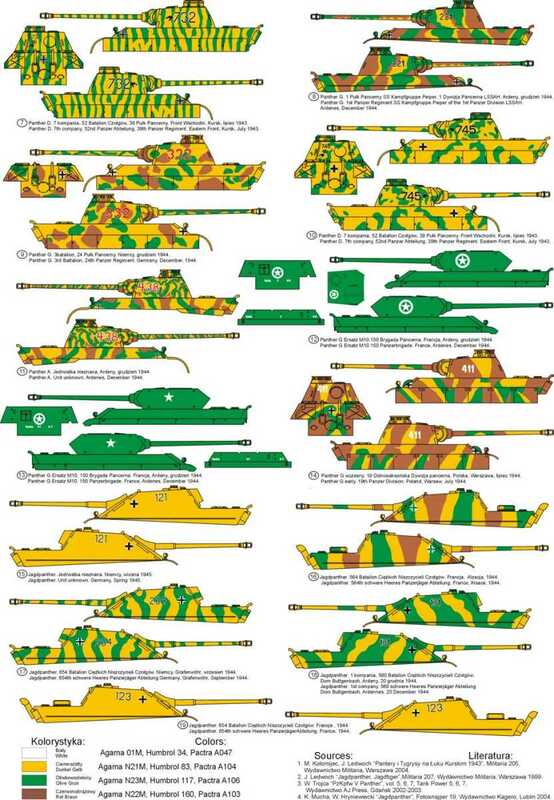 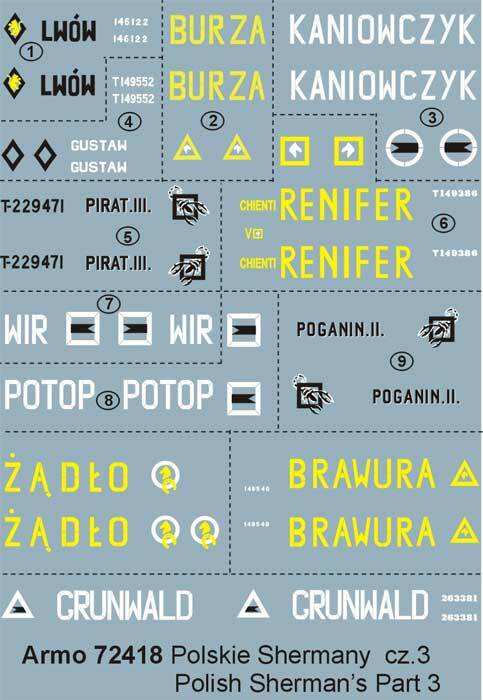 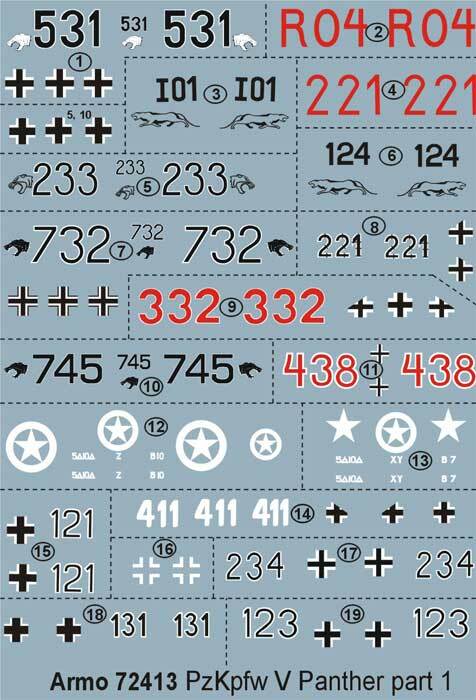 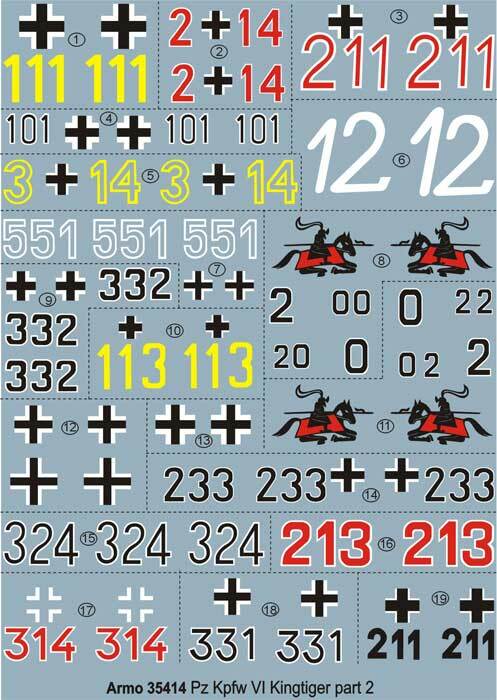 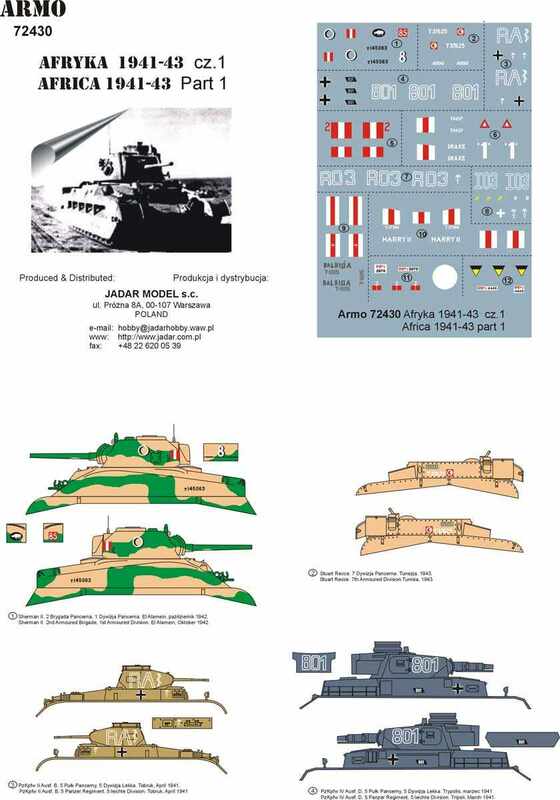 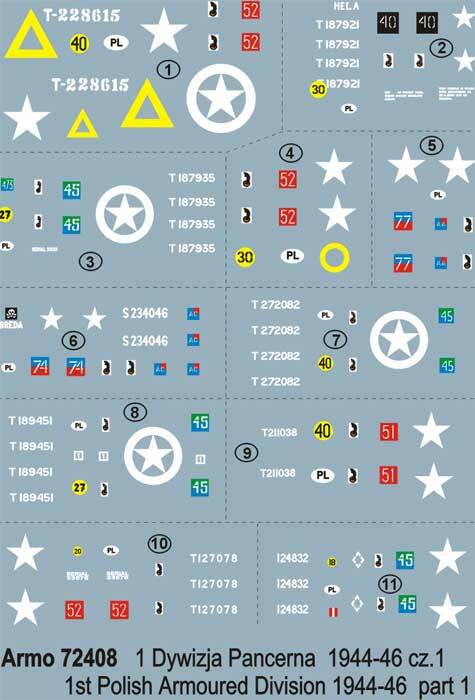 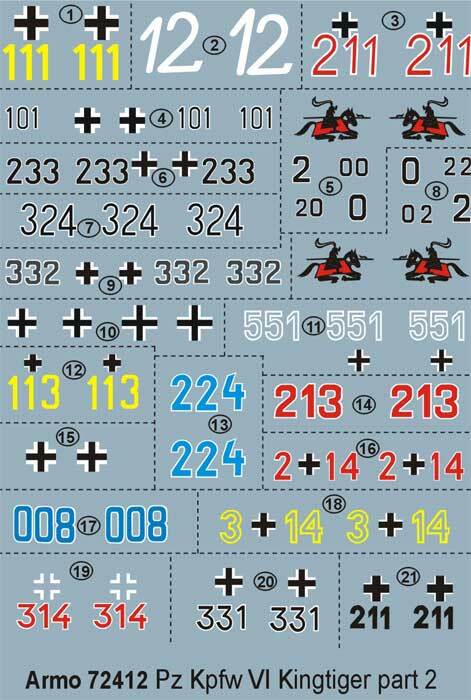 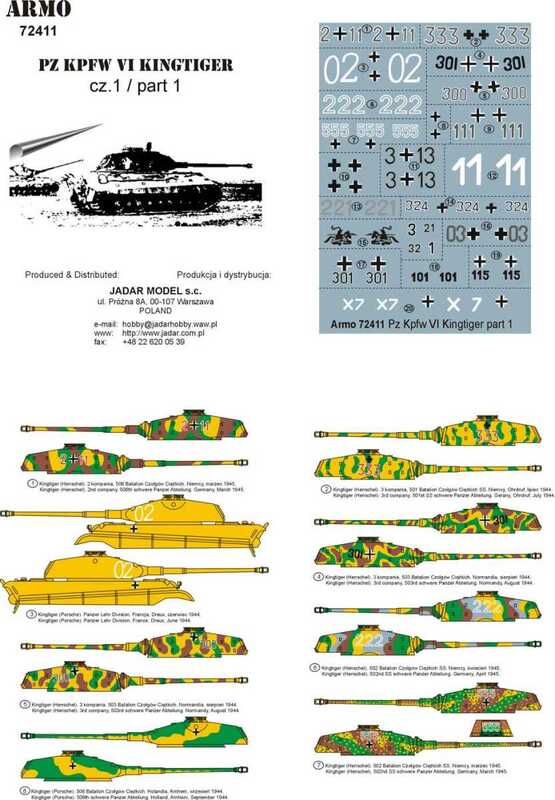 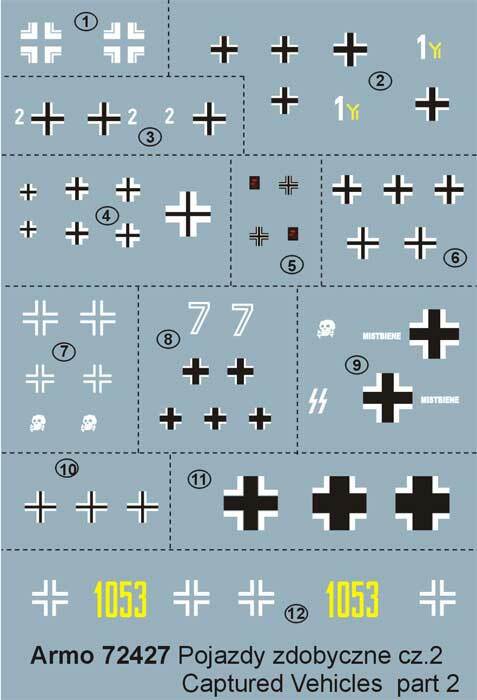 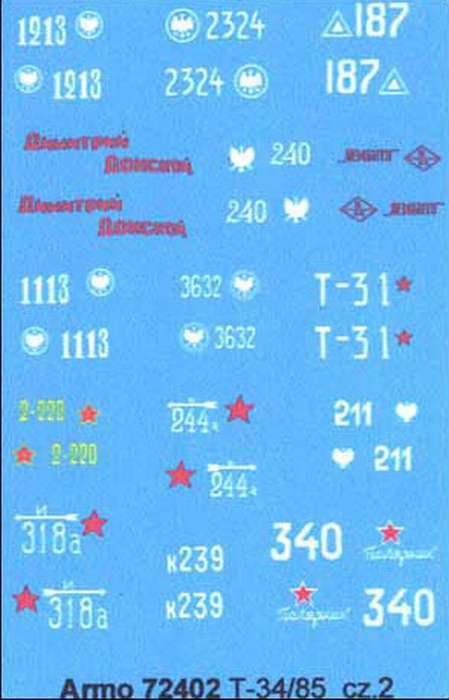 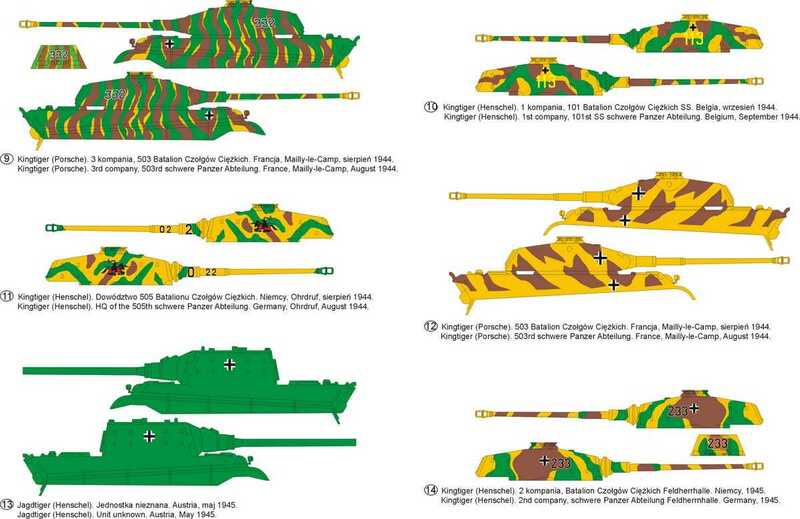 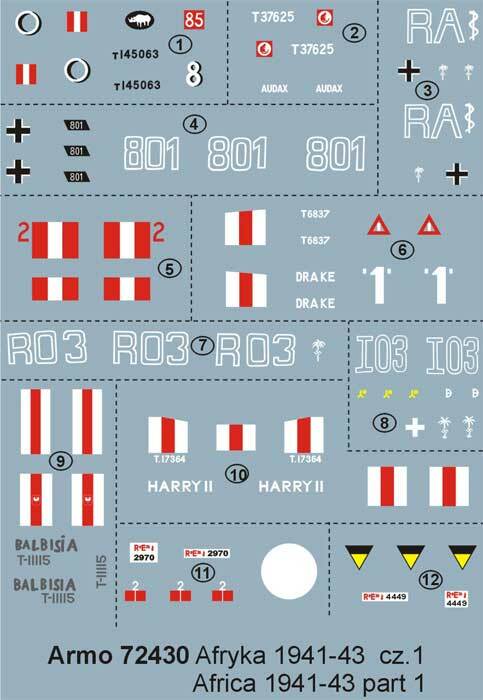 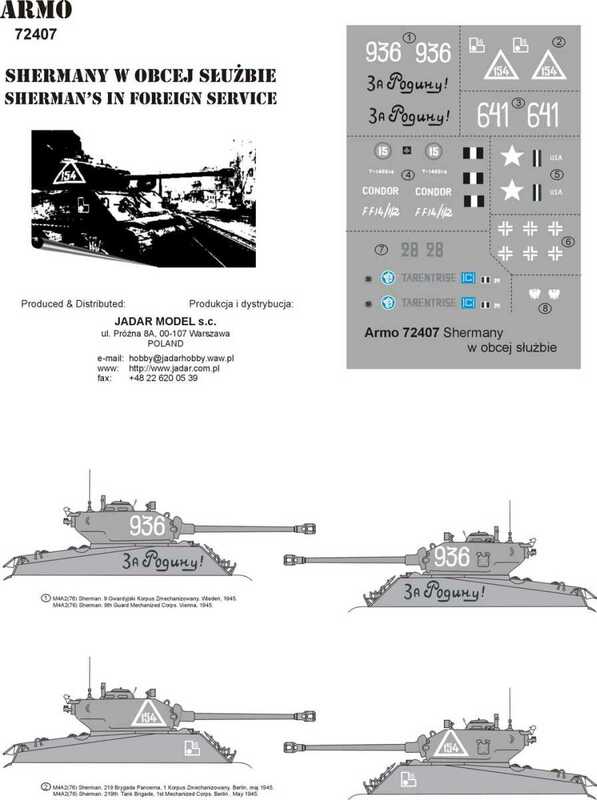 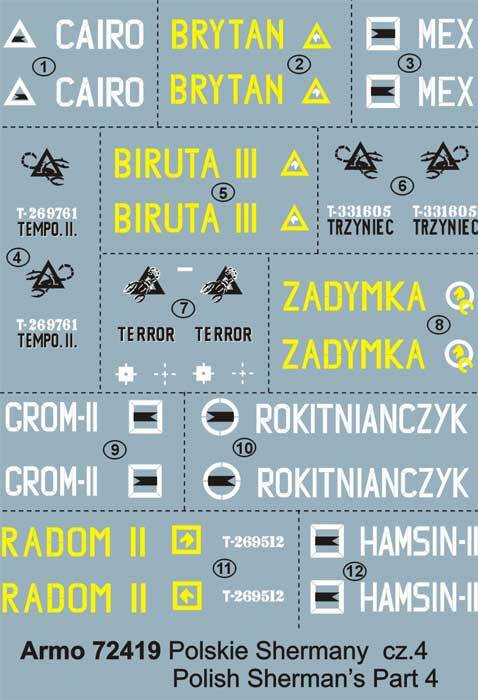 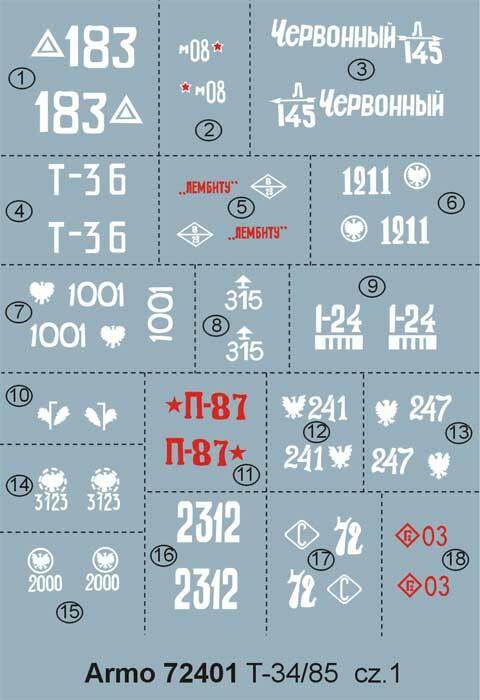 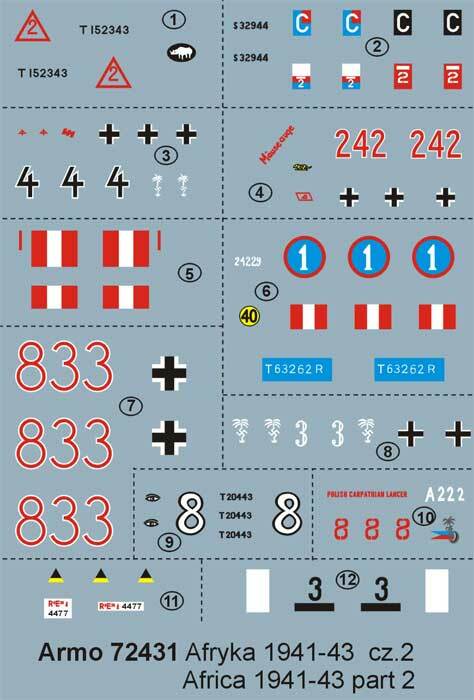 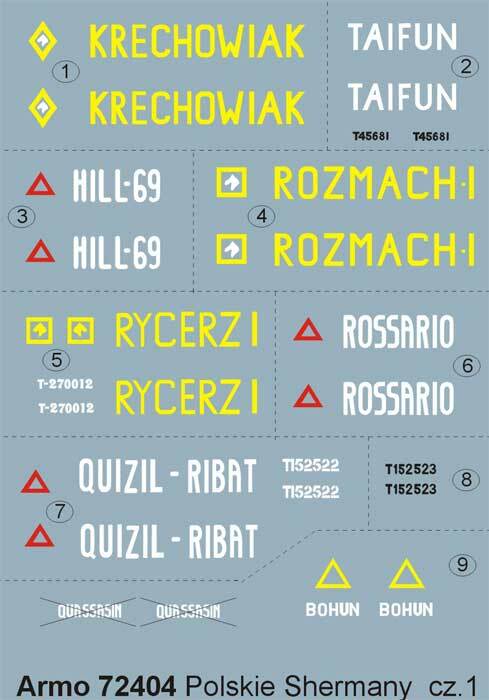 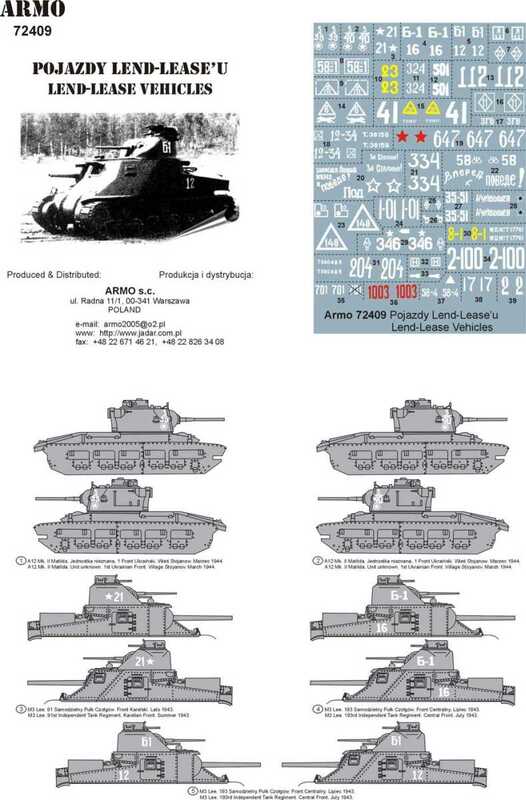 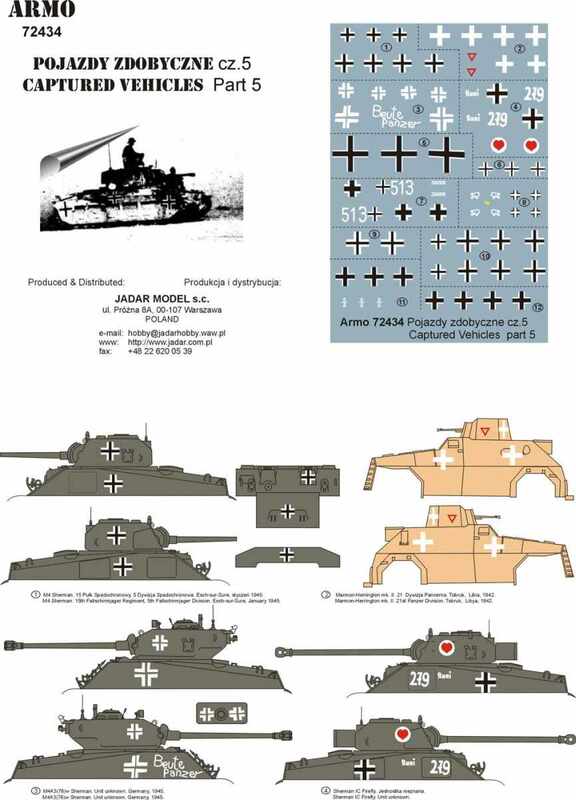 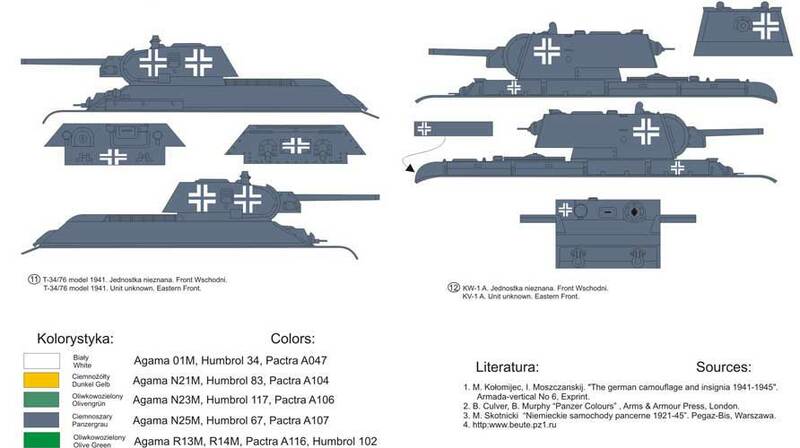 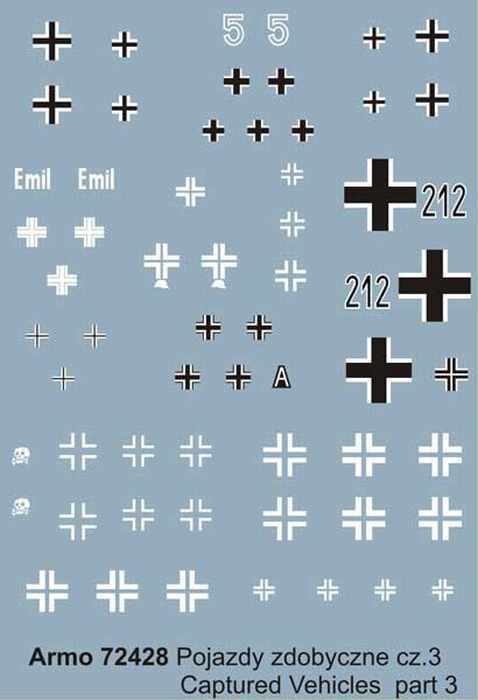 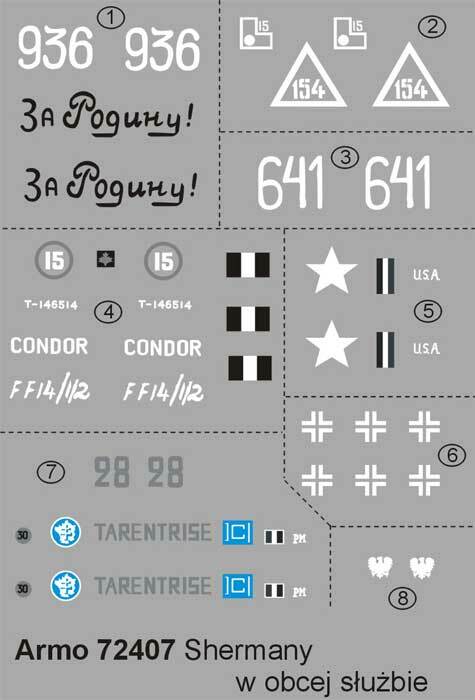 Armo Decals by Jadar-Models, Poland. 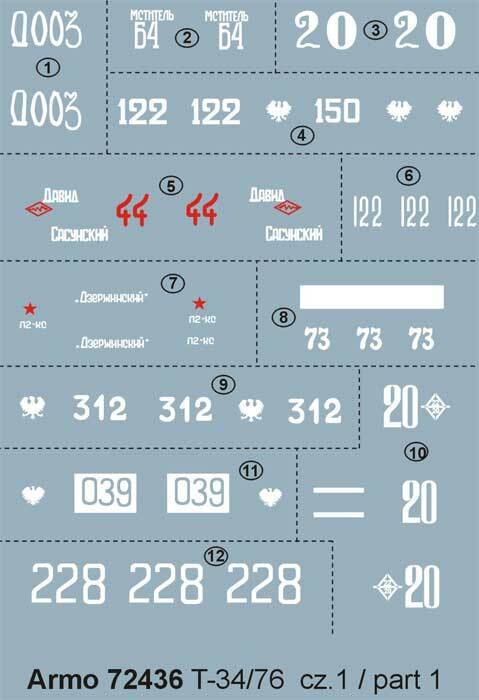 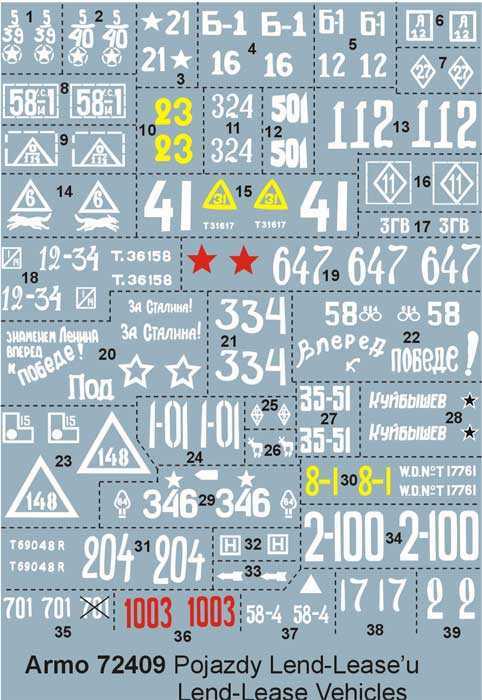 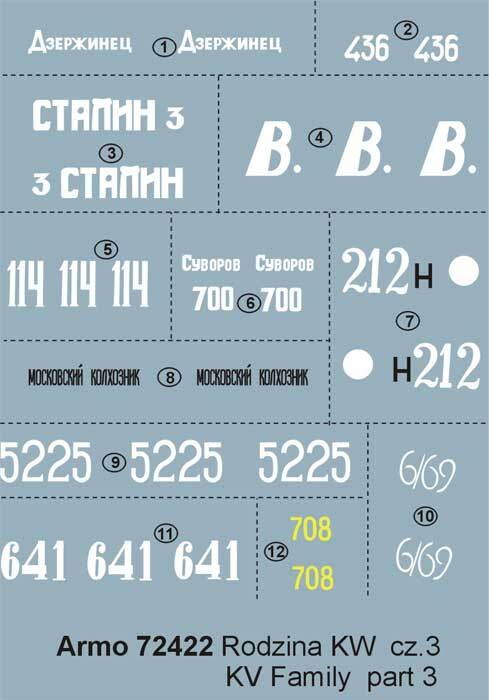 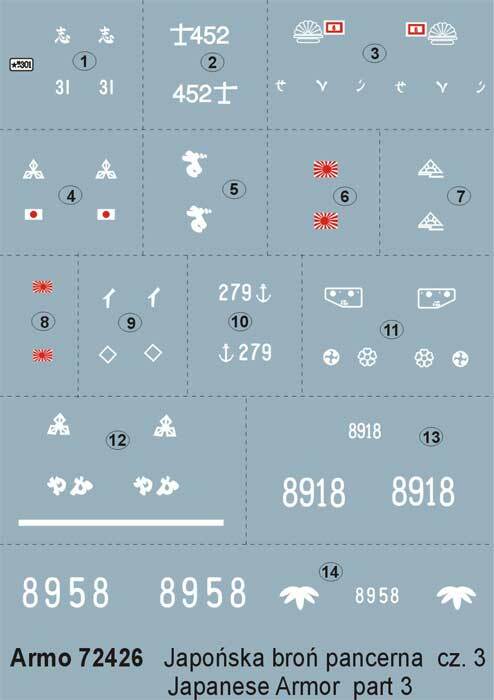 High quality decals with very good instructions. 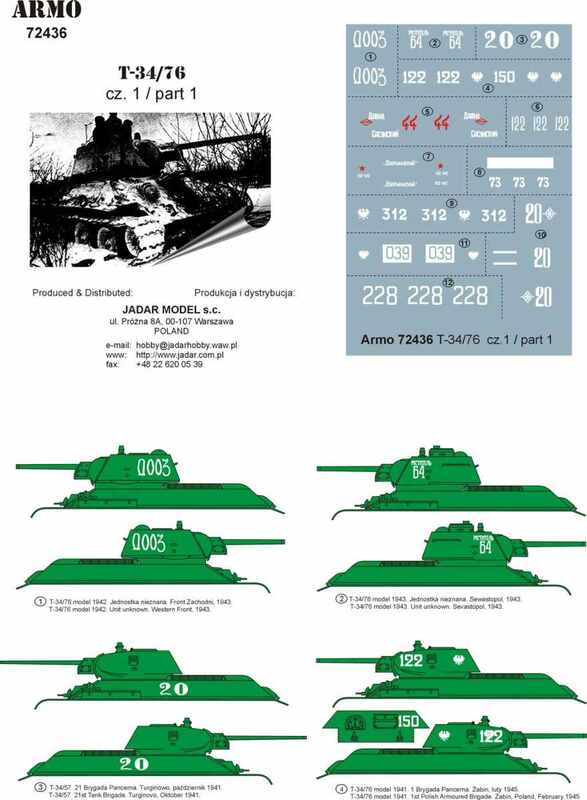 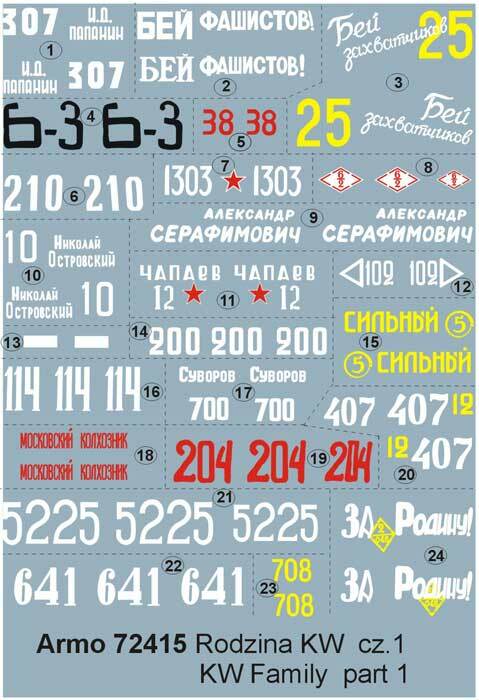 Kit 72401 - T-34/85 volume 1. 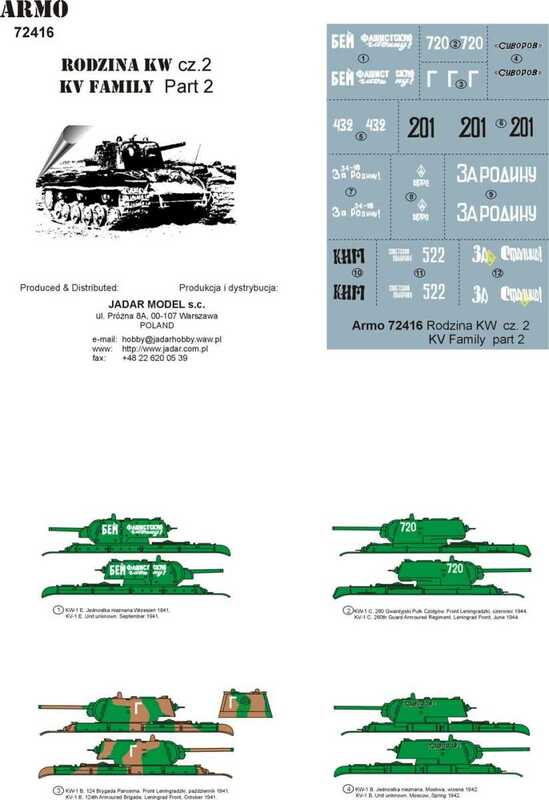 Kit 72402 - T-34/85 volume 2. 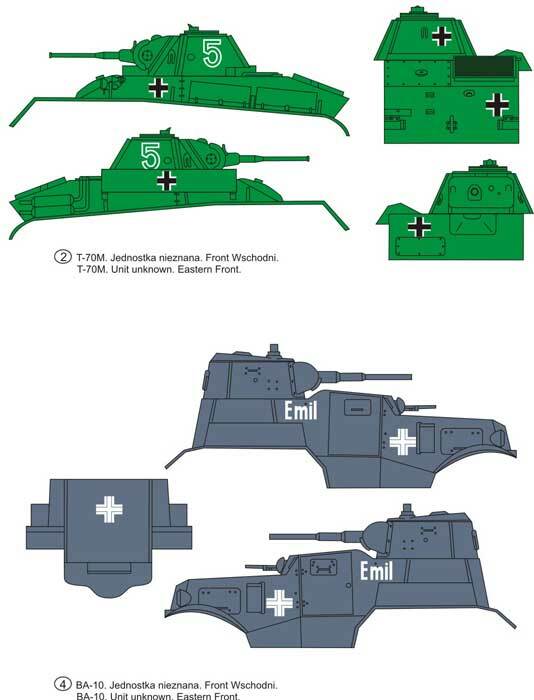 Kit 72403 - Eastern Front volume 1. 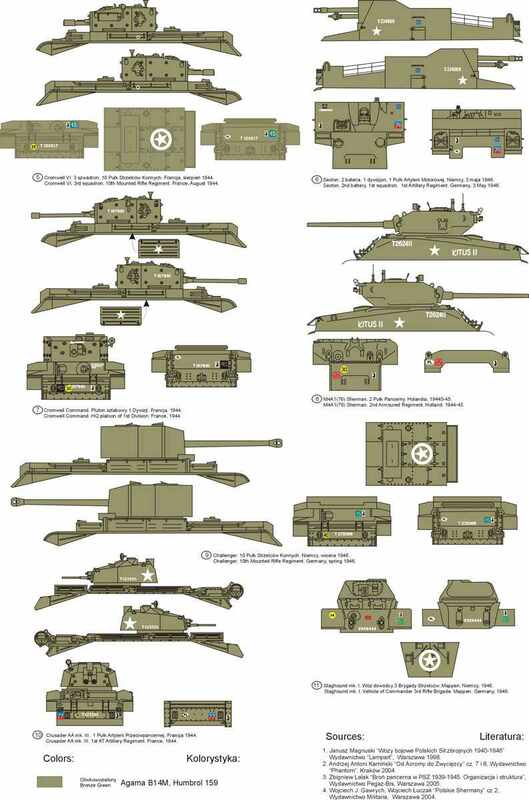 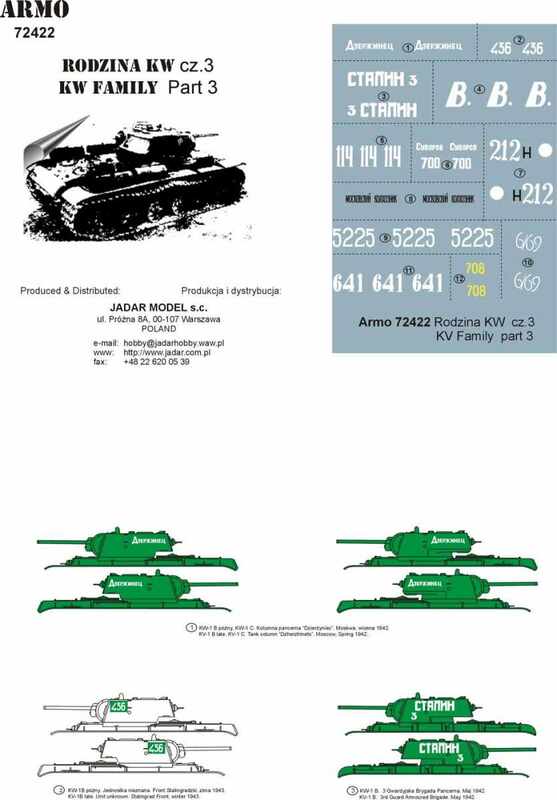 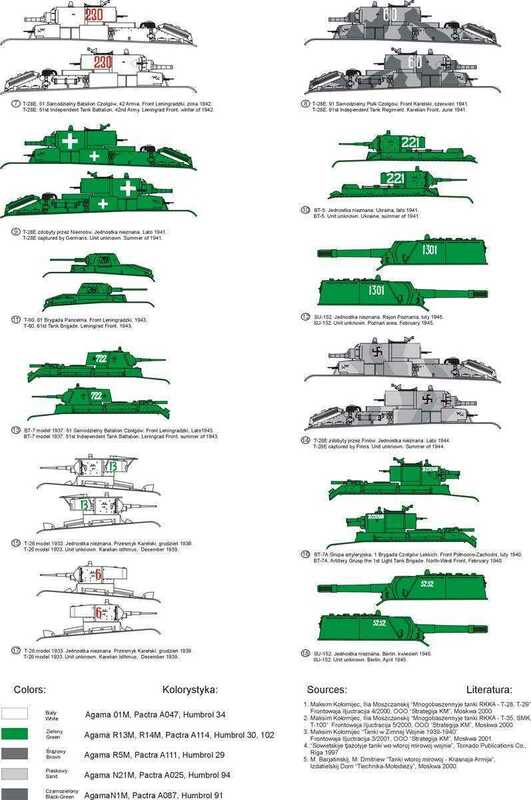 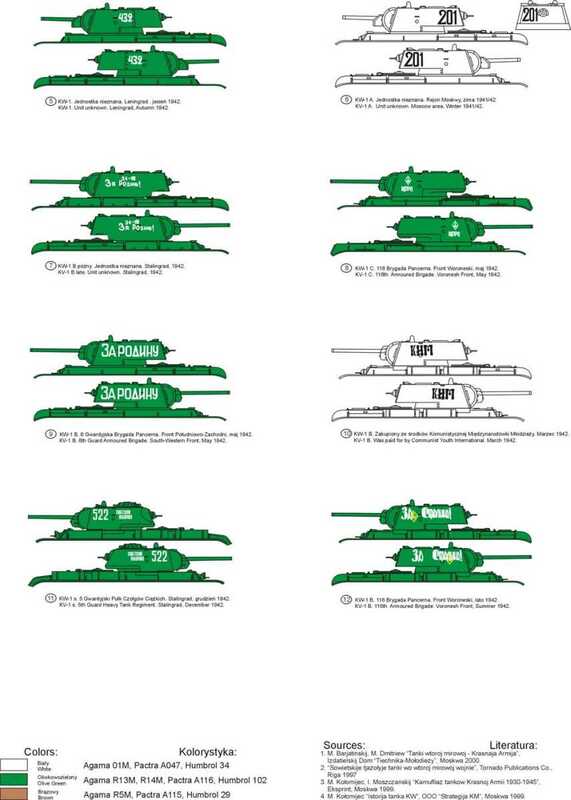 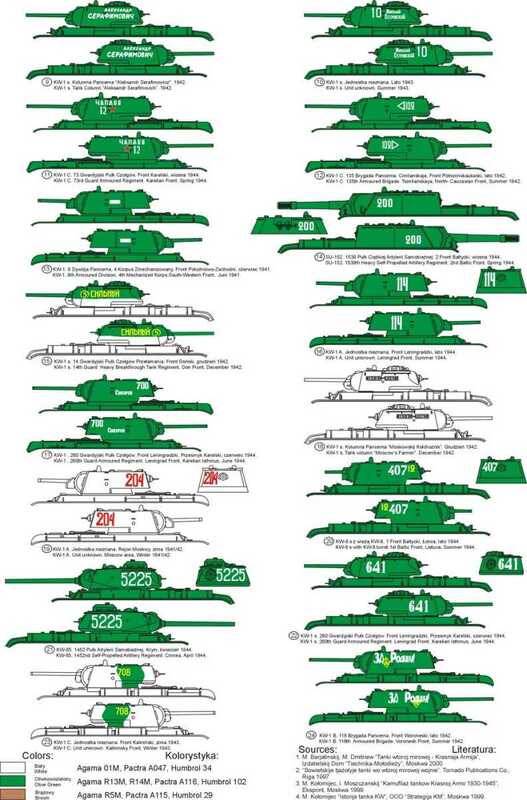 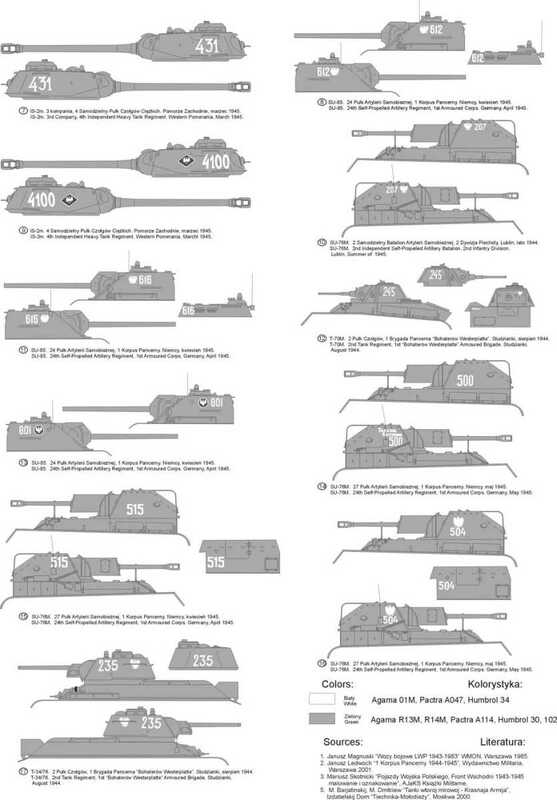 Kit 72404 - Polish Shermans volume 1. 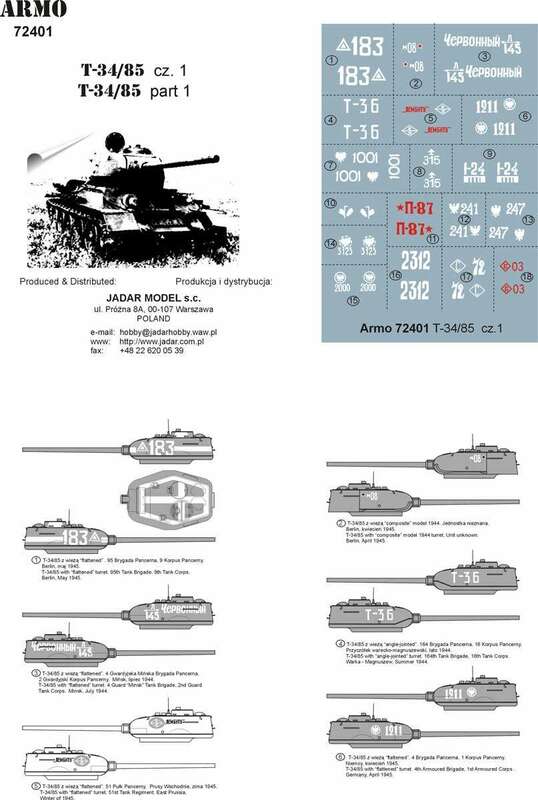 Kit 72405 - Polish Shermans volume 2. 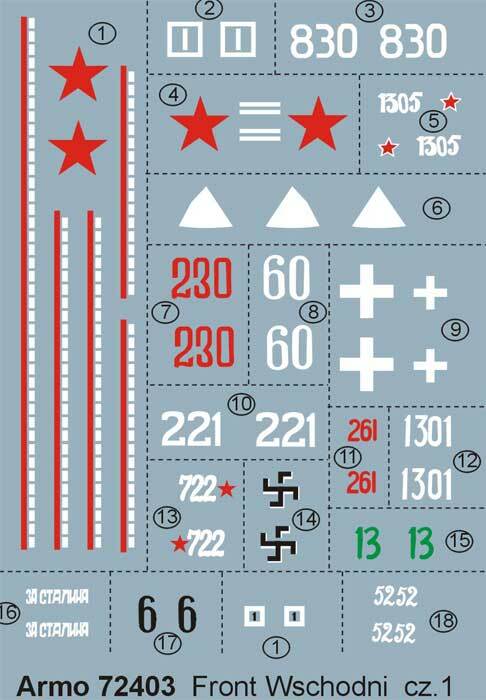 Kit 72406 - Polish Army 1943-1945. 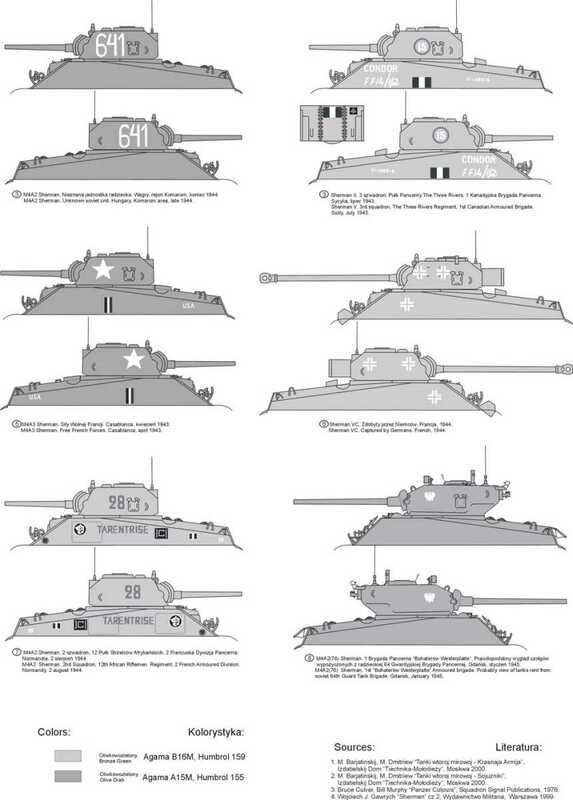 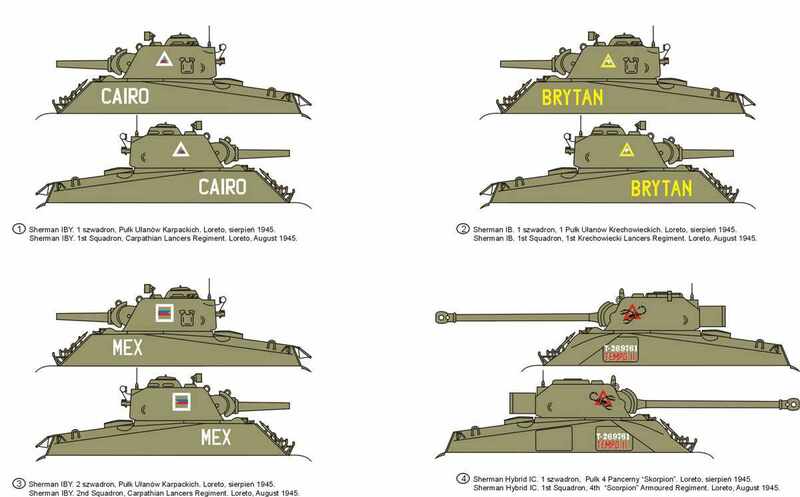 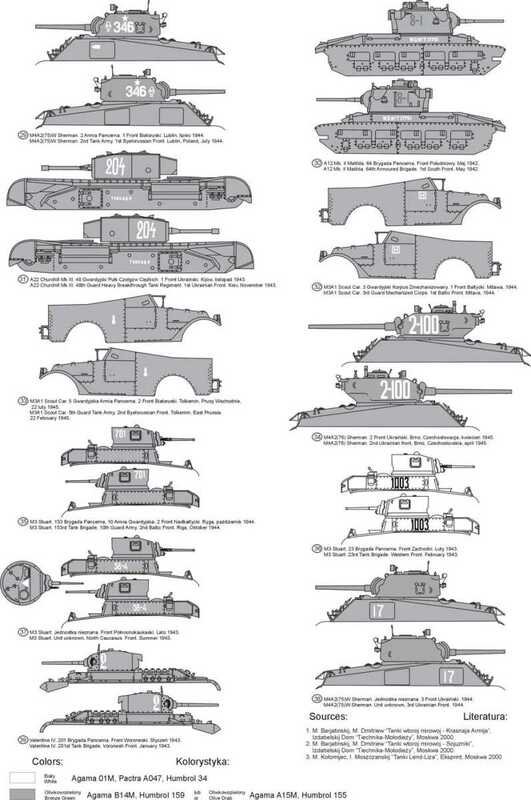 Kit 72407 - Shermans in foreign service. 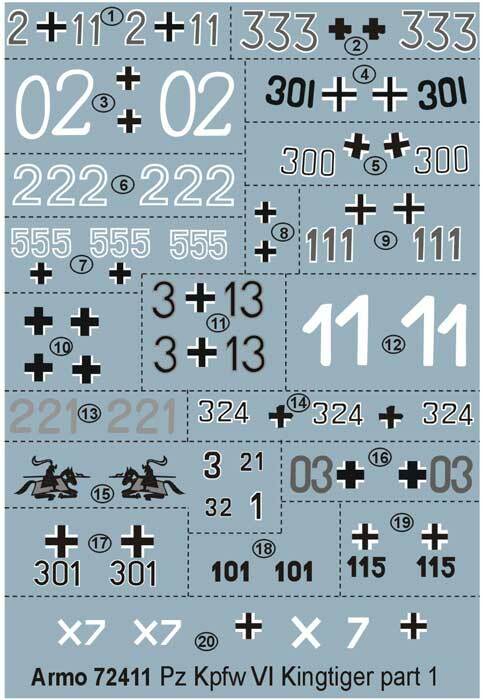 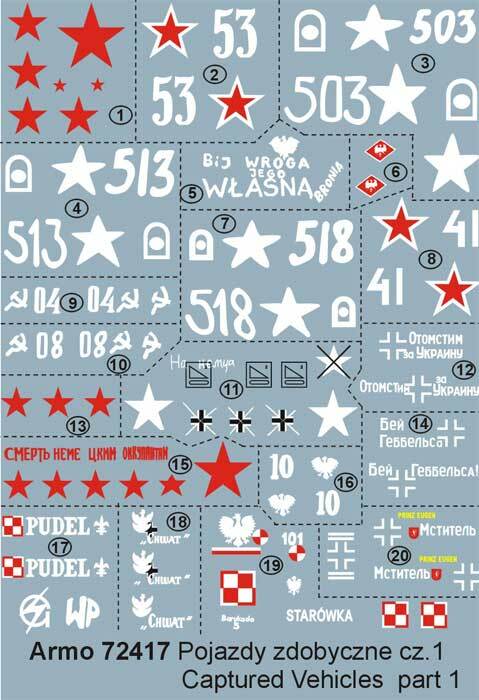 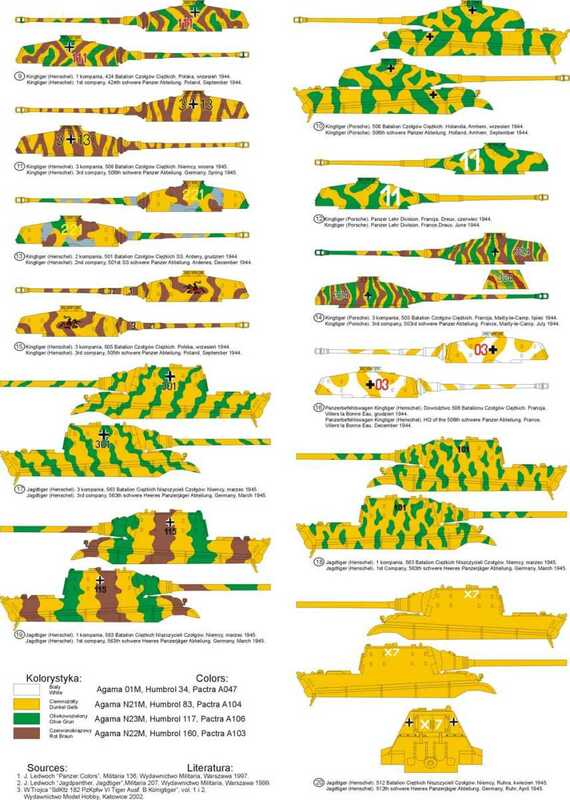 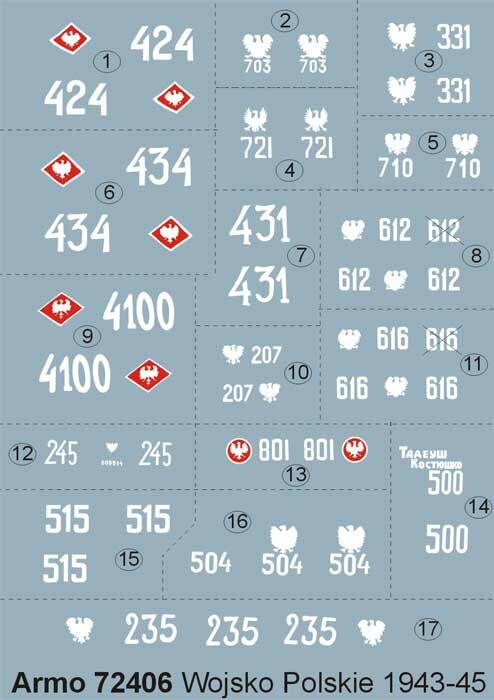 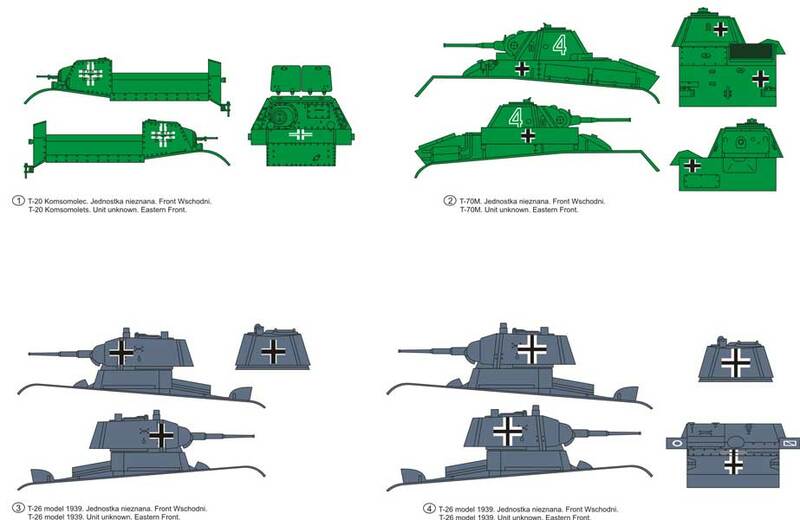 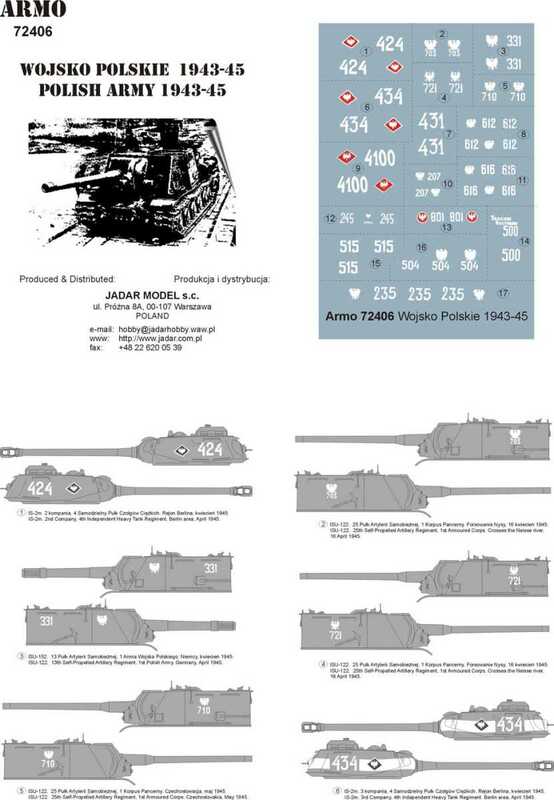 Kit 72408 - 1st Polish Armored Division 1944-46 (part 1). 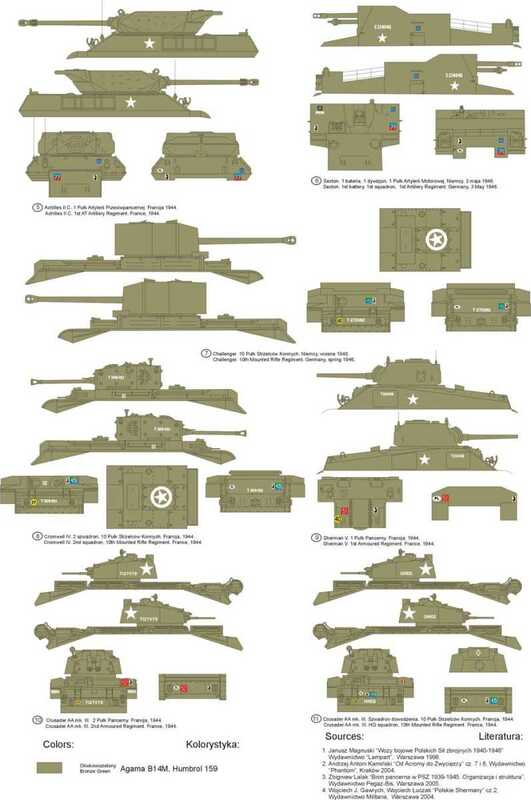 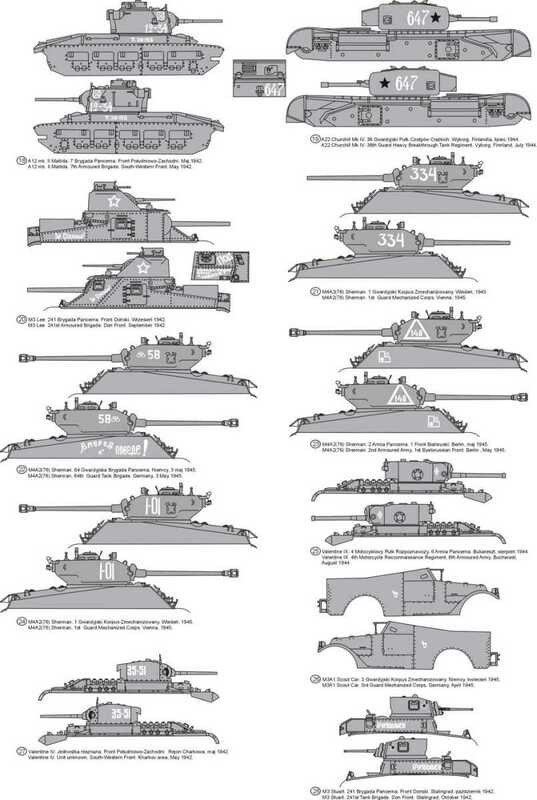 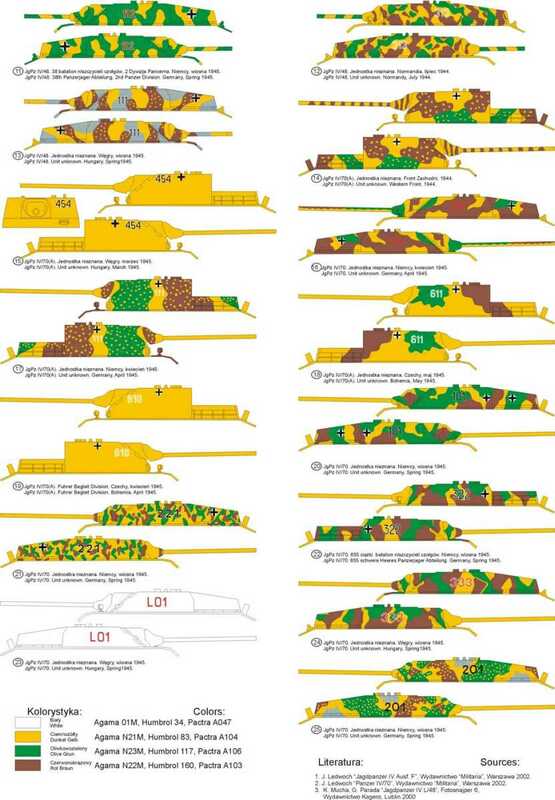 Kit 72409 - Lend-Lease vehicles. 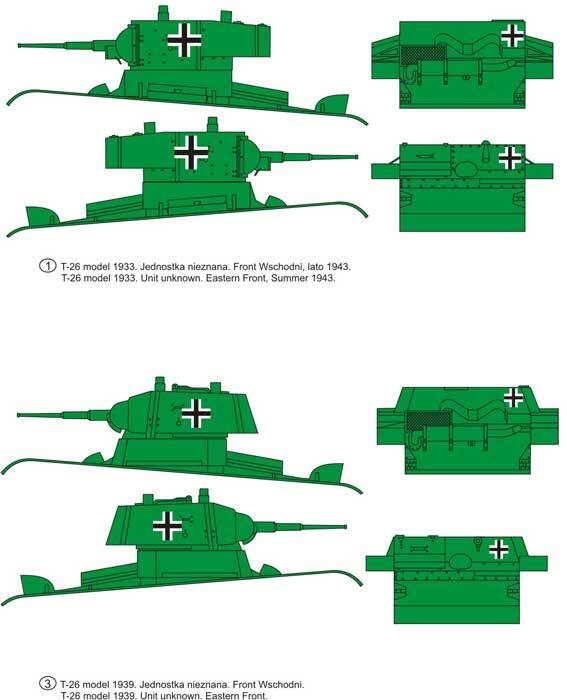 Kit 72410 - Jagdpanzer IV. 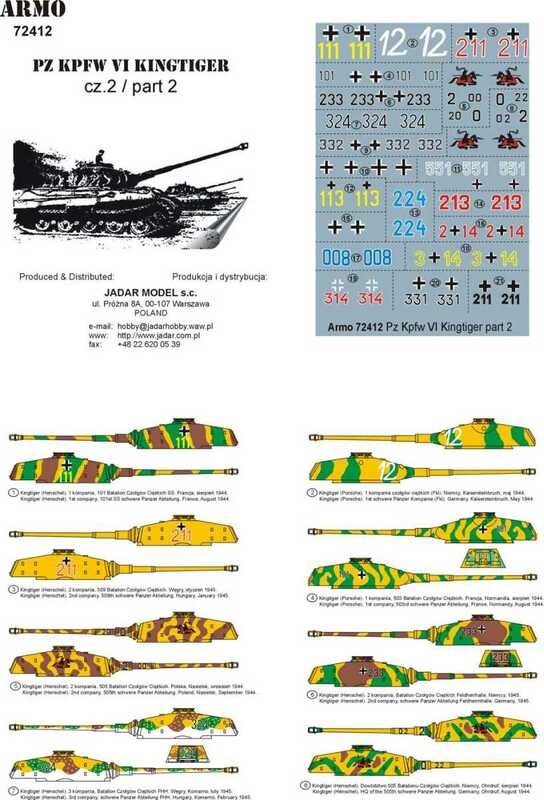 Kit 72411 - Pz.Kpfw.VI King Tiger (part 1). 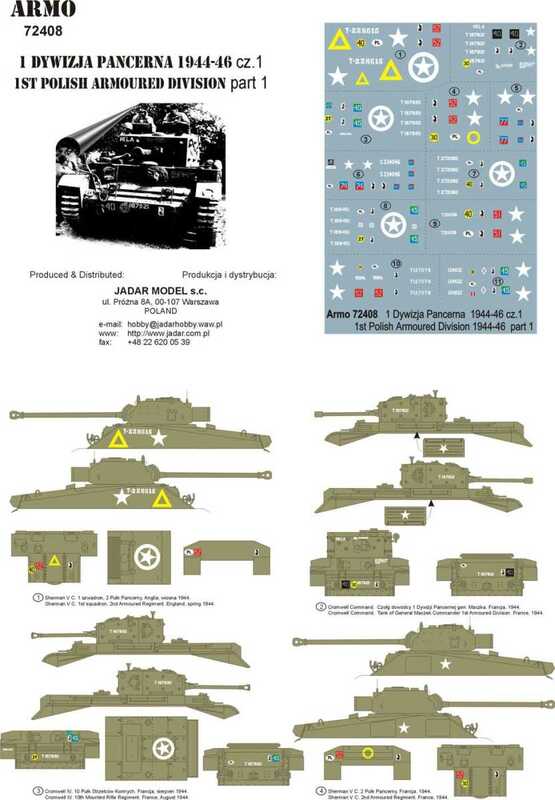 Kit 72412 - Pz.Kpfw.VI King Tiger (part 2). 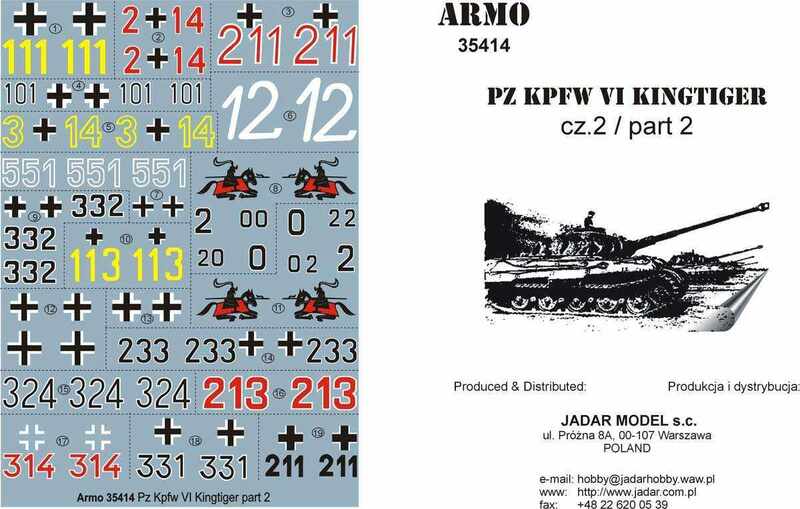 Kit 72413 - Pz.Kpfw.V Panther (part 1). 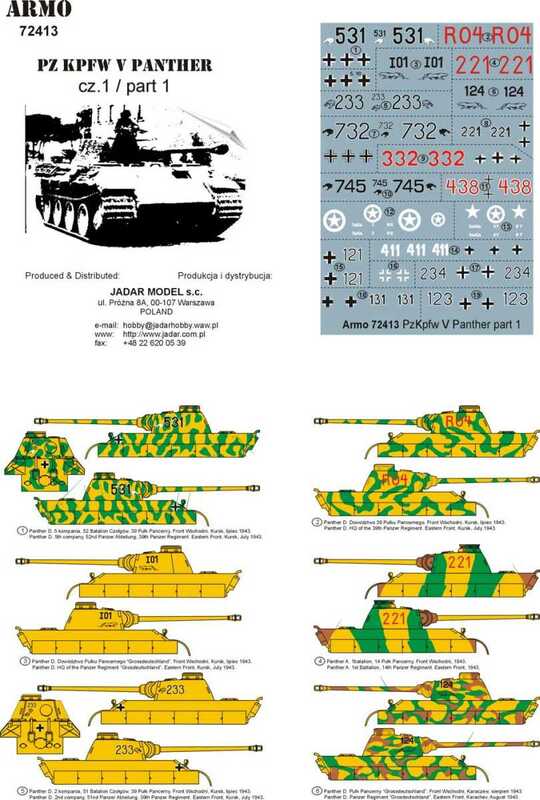 Kit 72414 - Pz.Kpfw.V Panther (part 2). 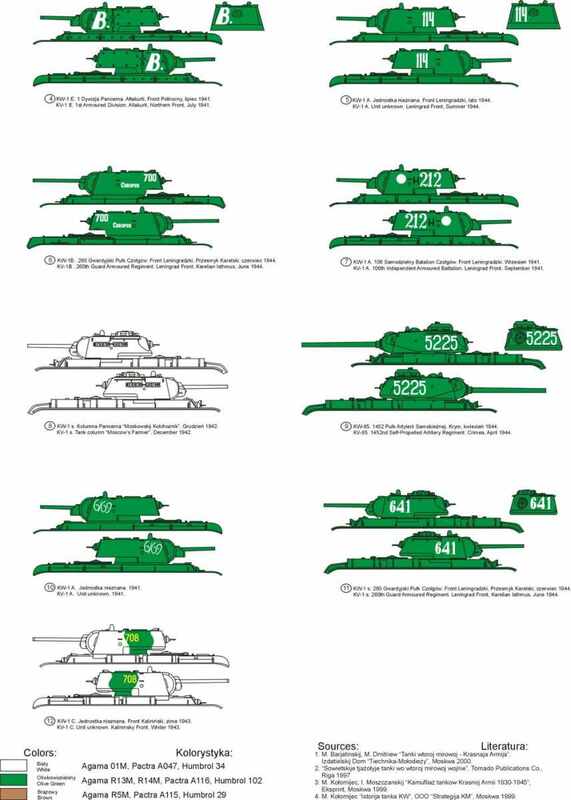 Kit 72415 - KV Family (part 1). 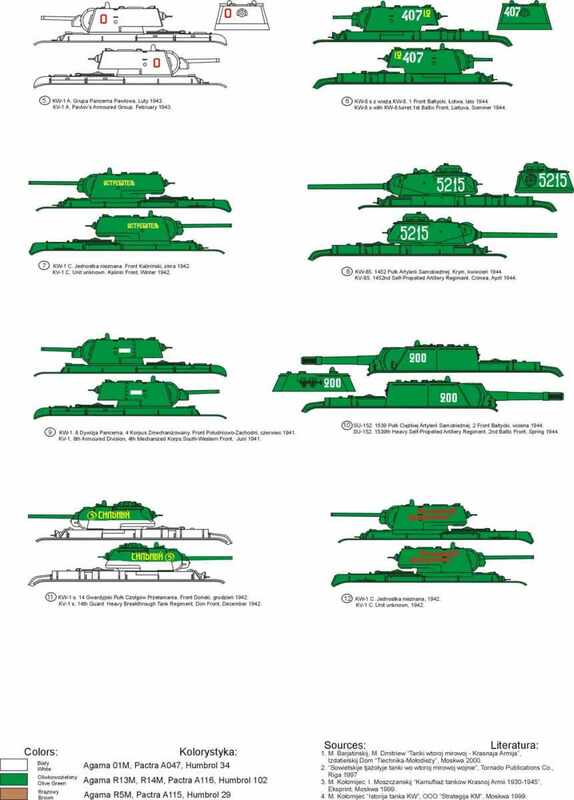 Kit 72416 - KV Family (part 2). 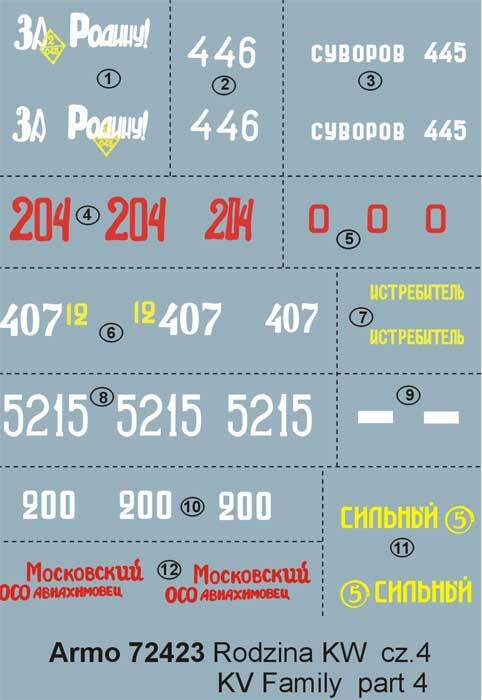 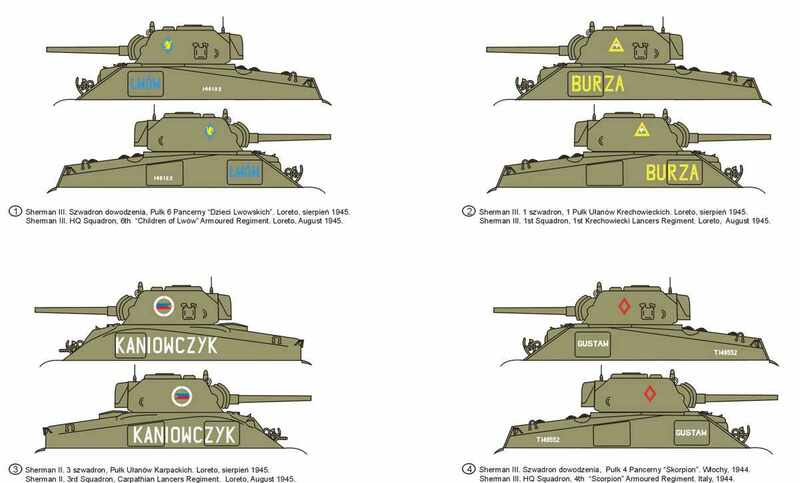 Kit 72417 - Confiscated vehicles (in Russian or Polish service) volume 1. 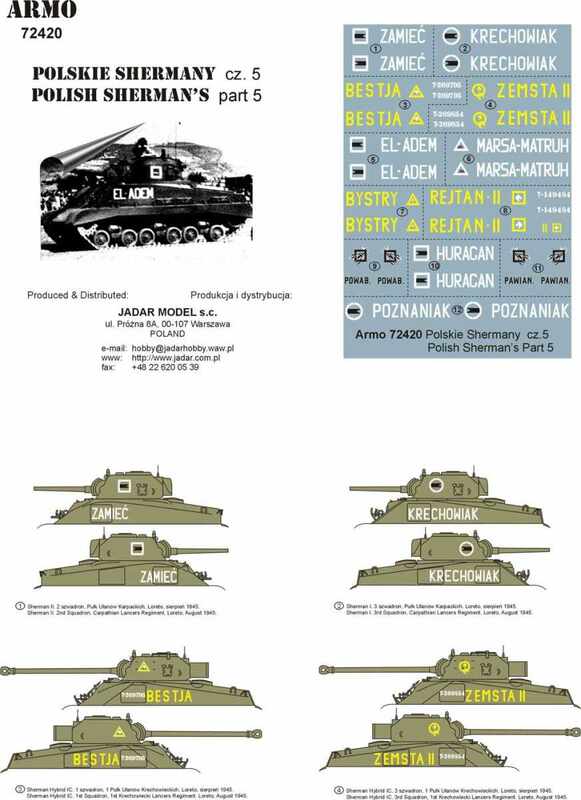 Kit 72418 - Polish Shermans (part 3). 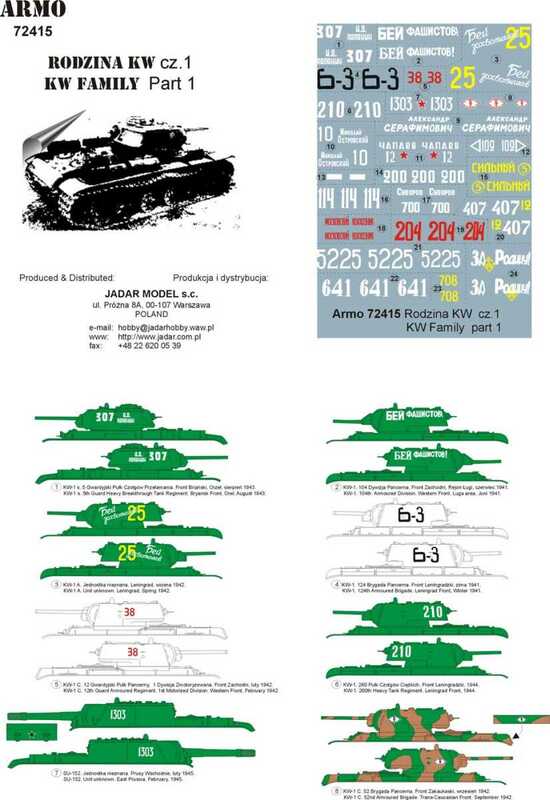 Kit 72419 - Polish Shermans (part 4). 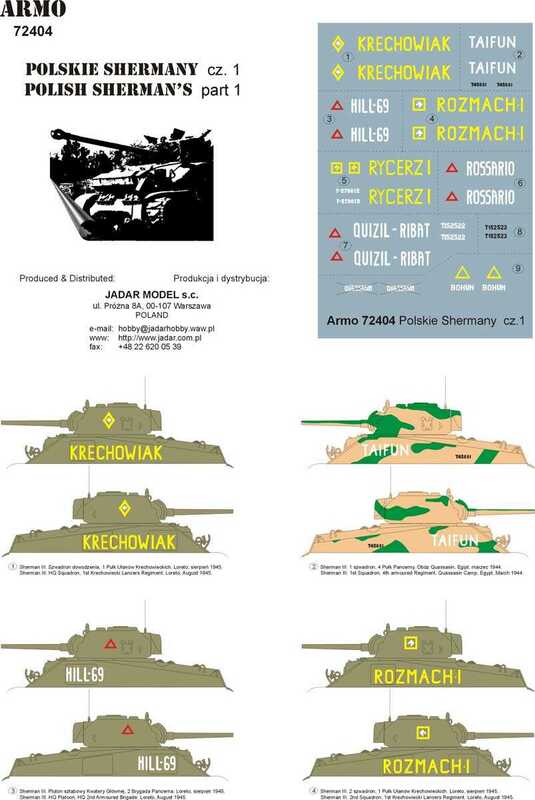 Kit 72420 - Polish Shermans (part 5). 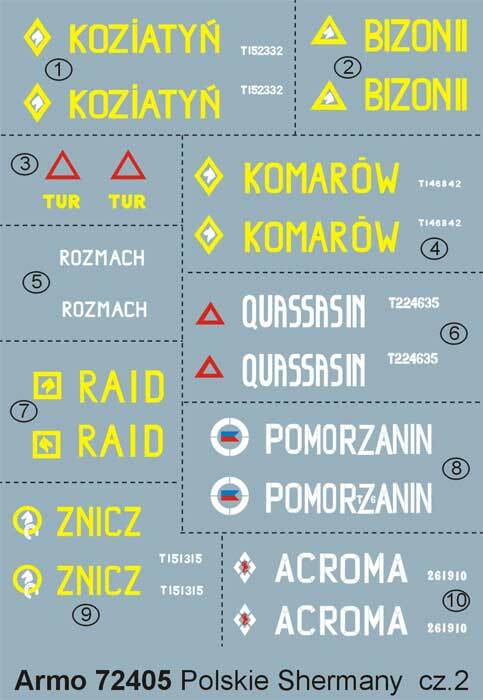 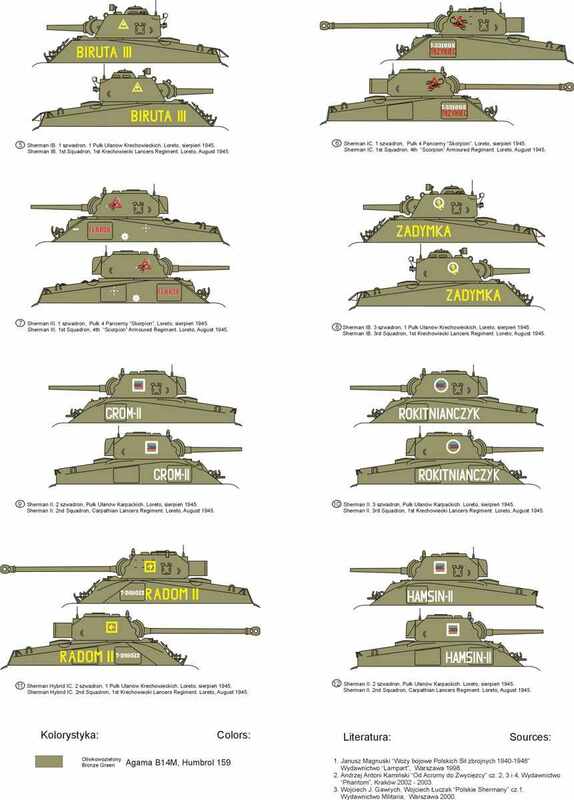 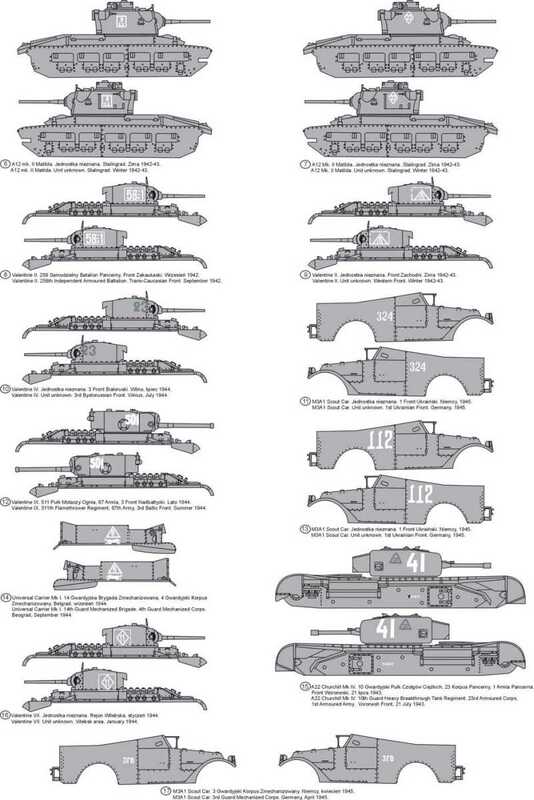 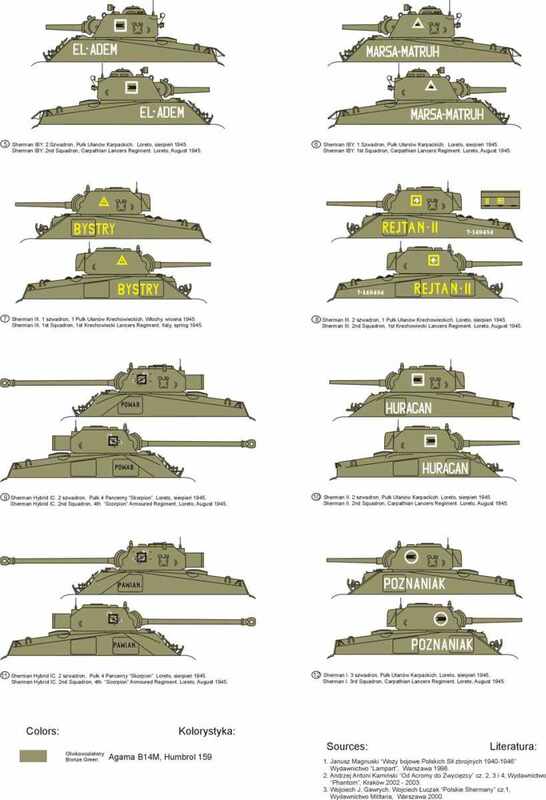 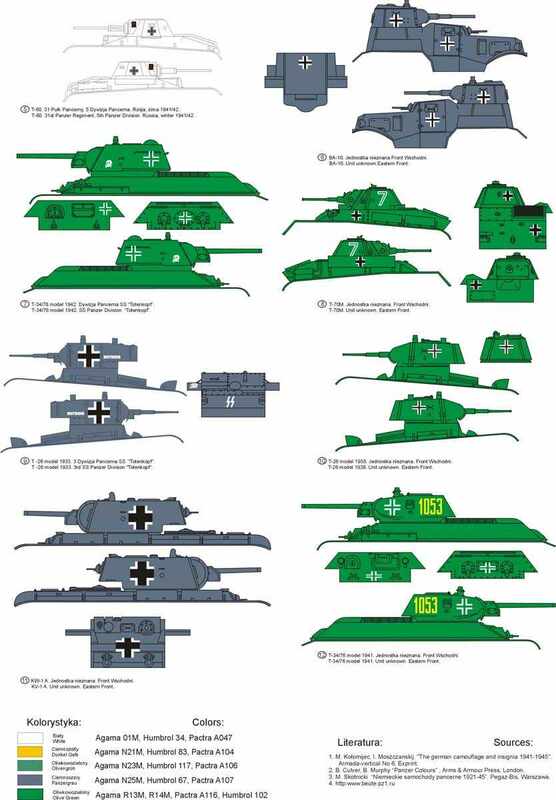 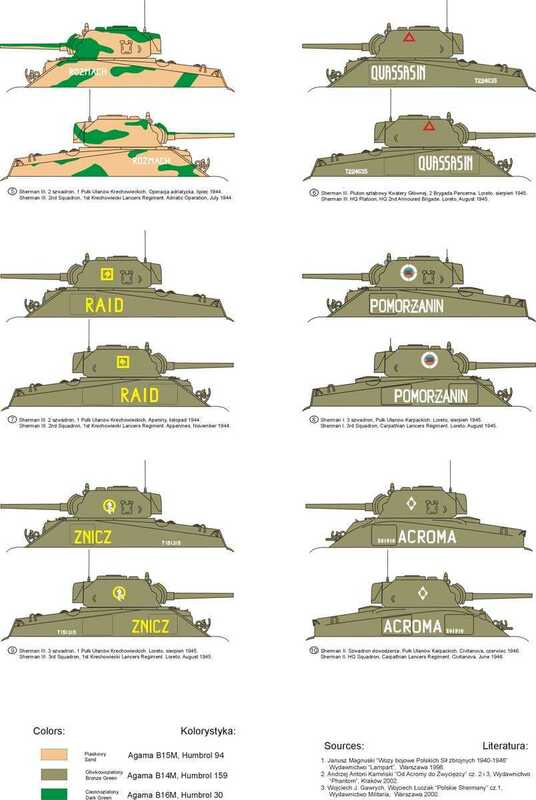 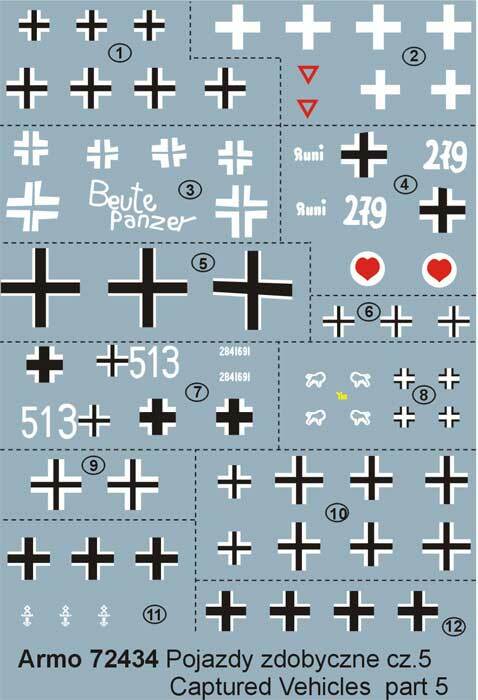 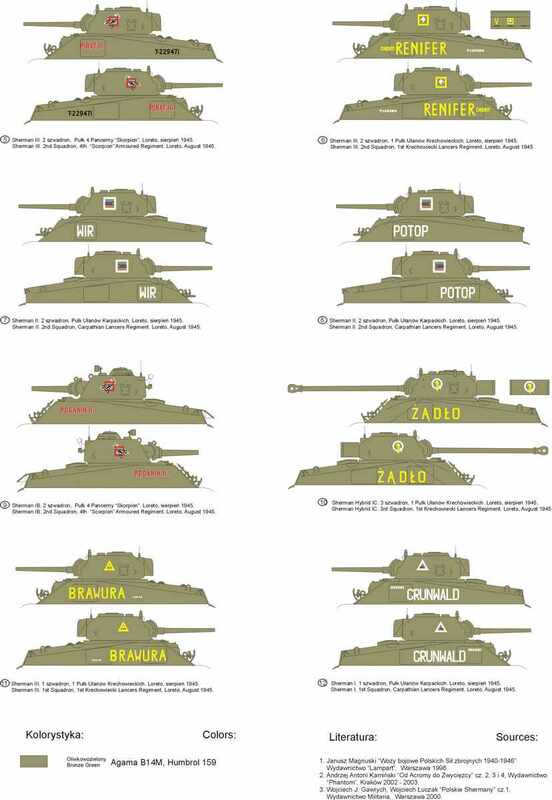 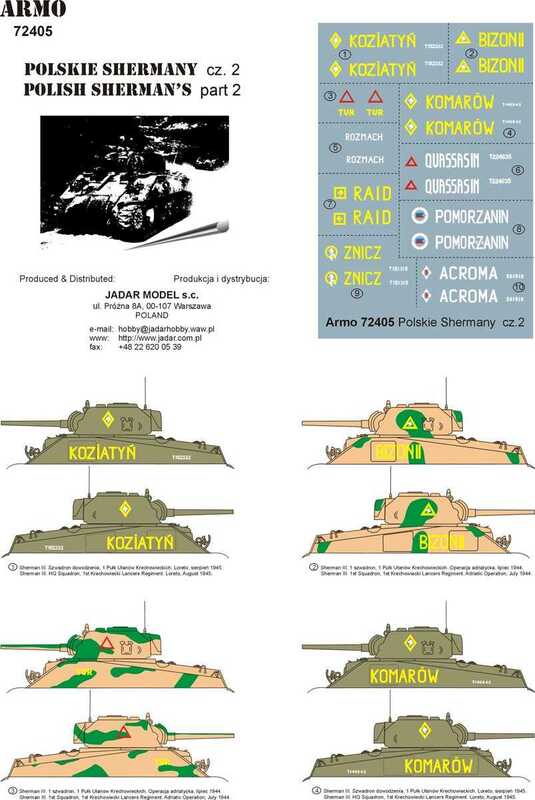 Kit 72421 - 1st Polish Armored Division 1944-46 (part 2). 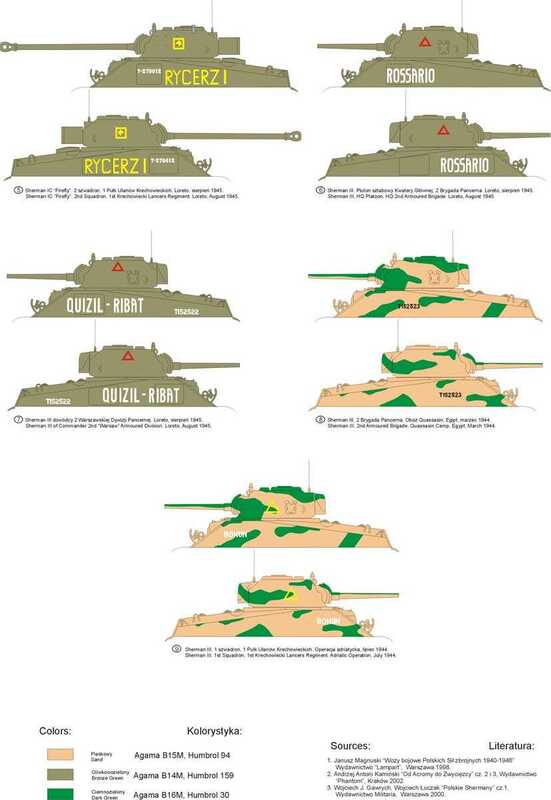 Kit 72422 - KV Family (part 3). 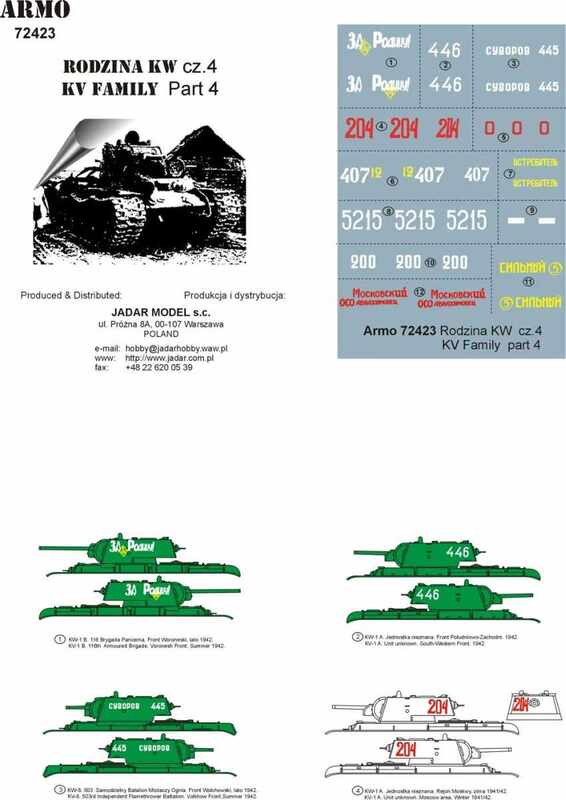 Kit 72423 - KV Family (part 4). 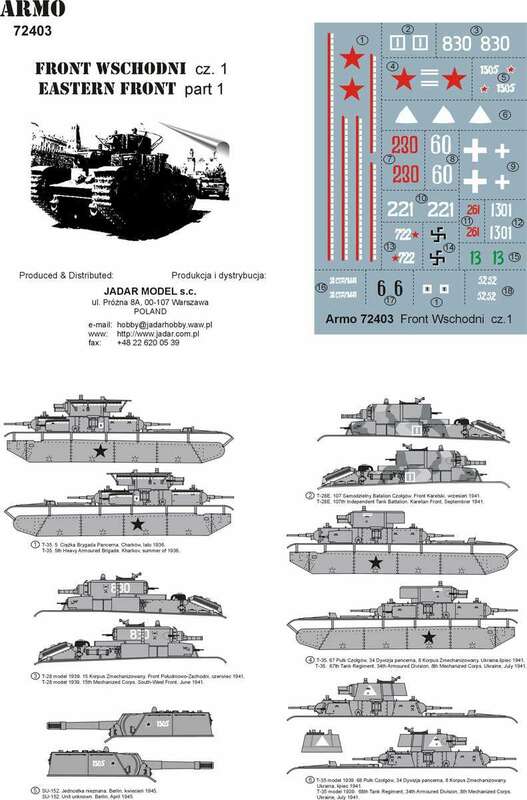 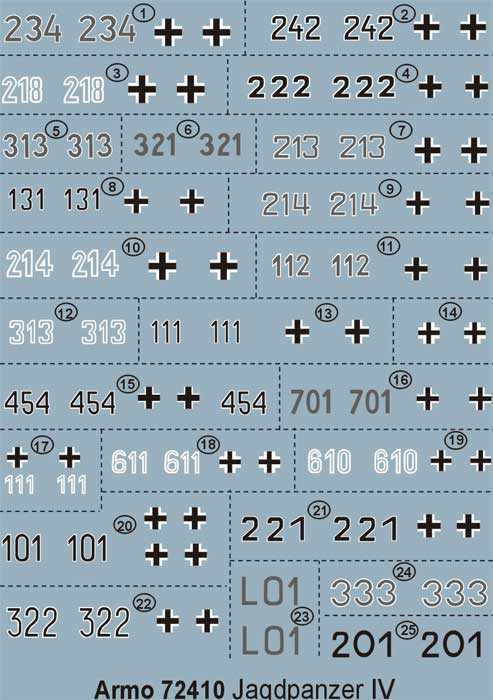 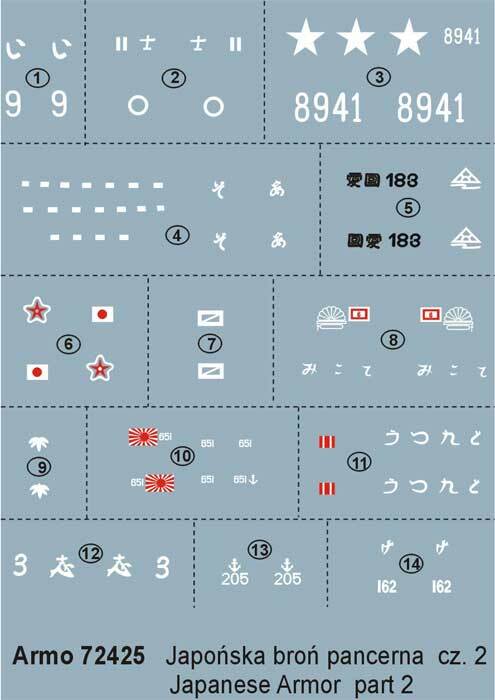 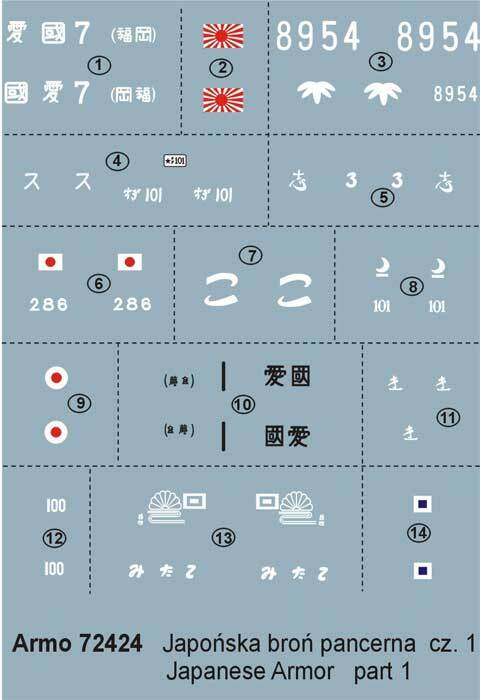 Kit 72424 - Japanese armor (part 1). 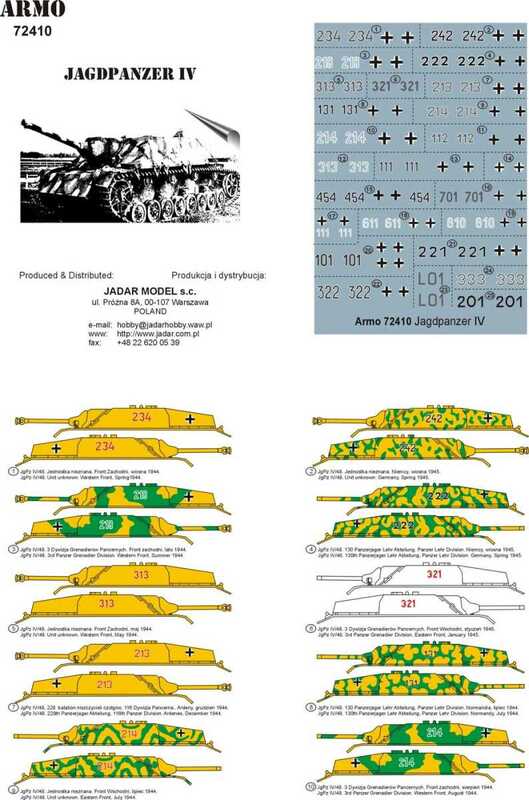 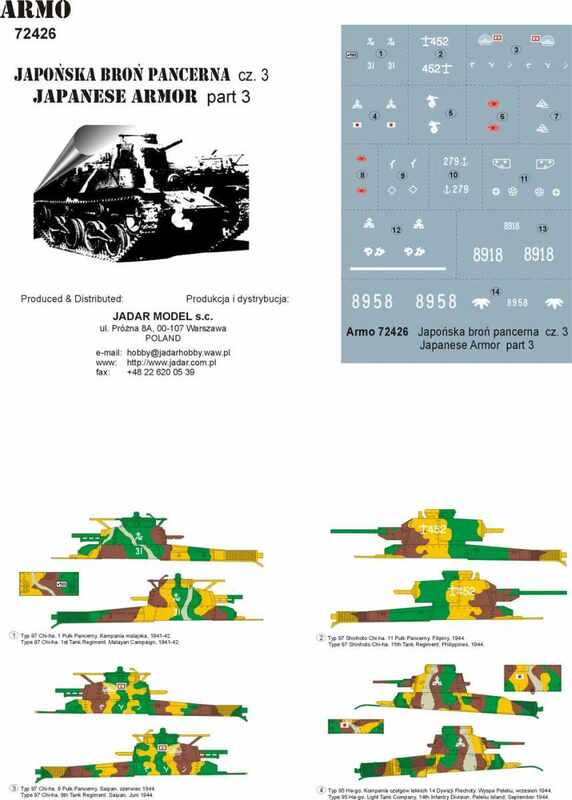 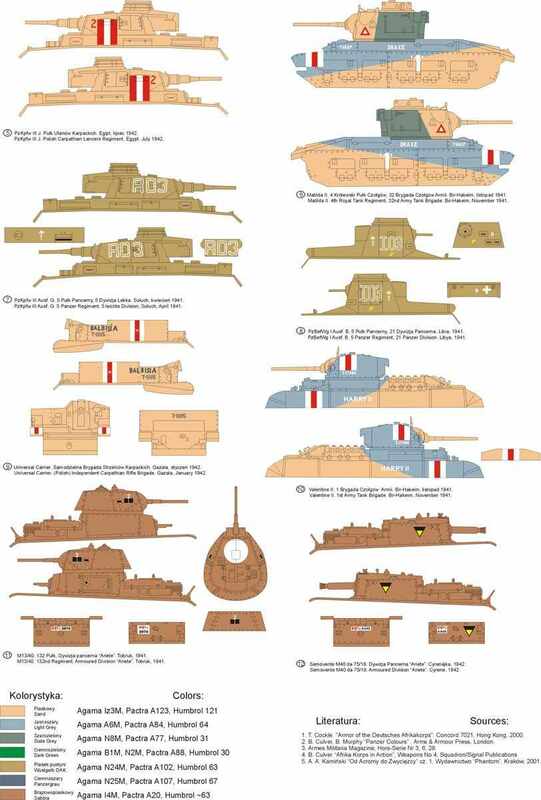 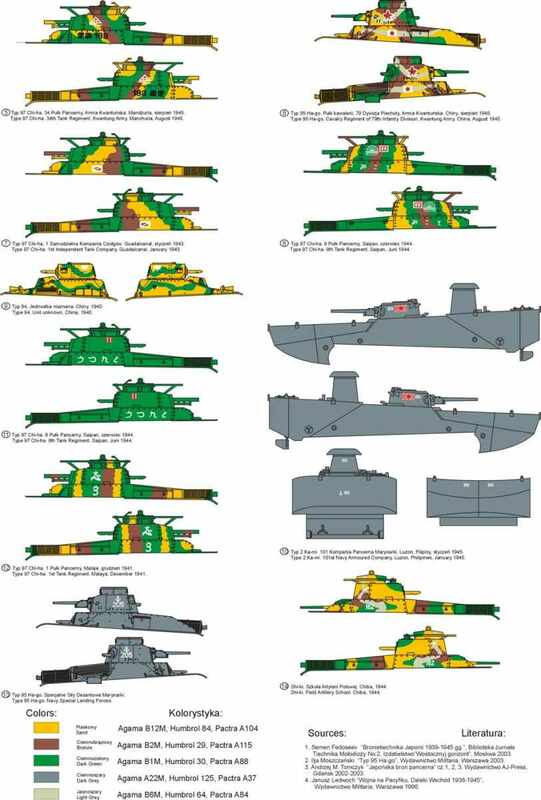 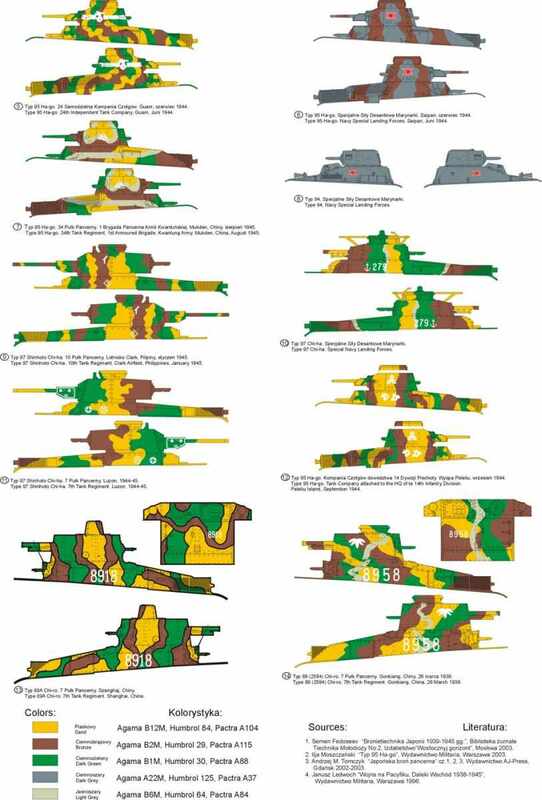 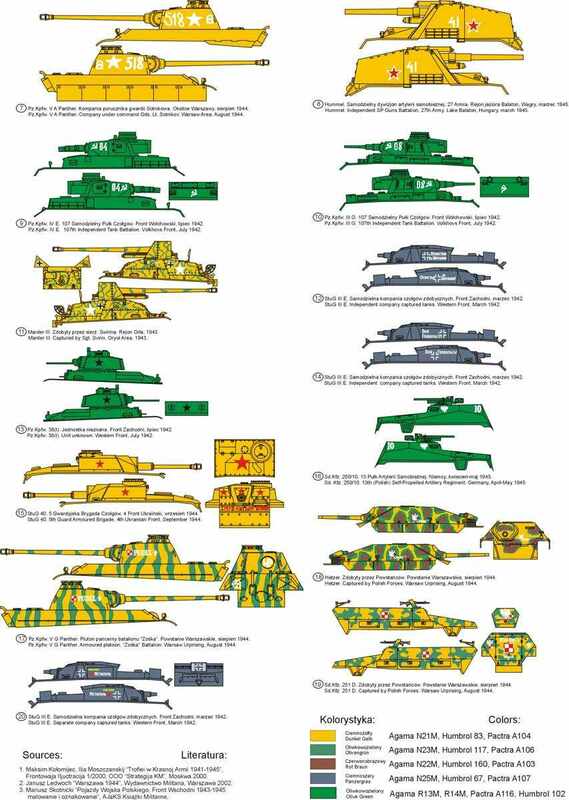 Kit 72425 - Japanese armor (part 2). 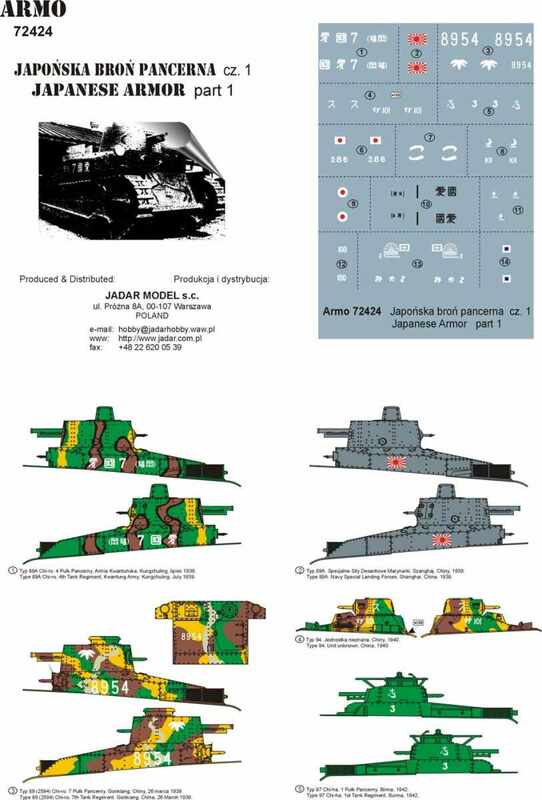 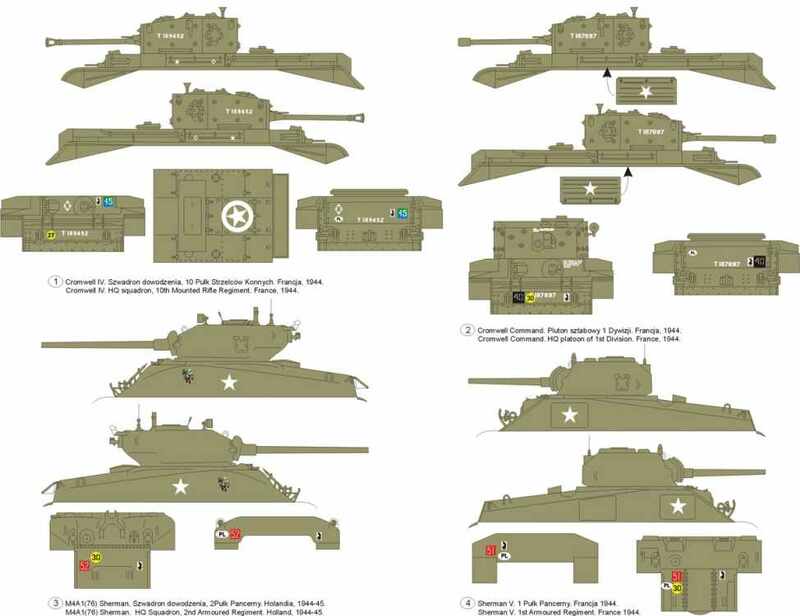 Kit 72426 - Japanese armor (part 3). 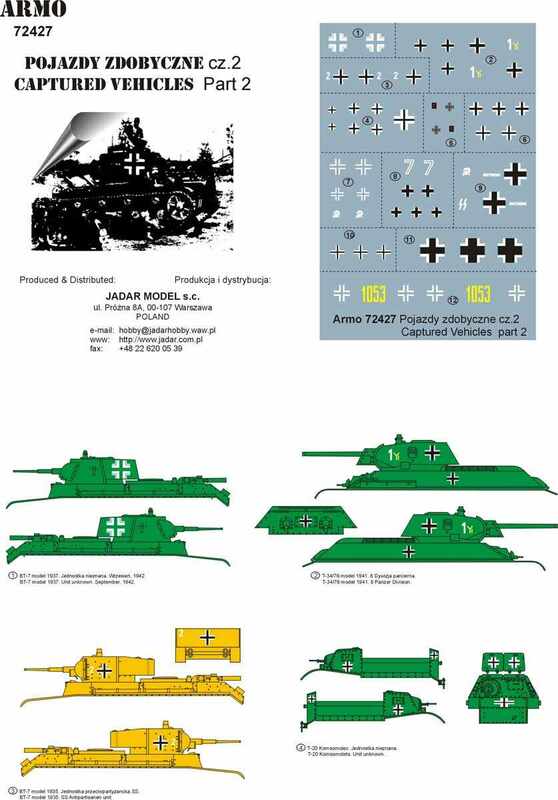 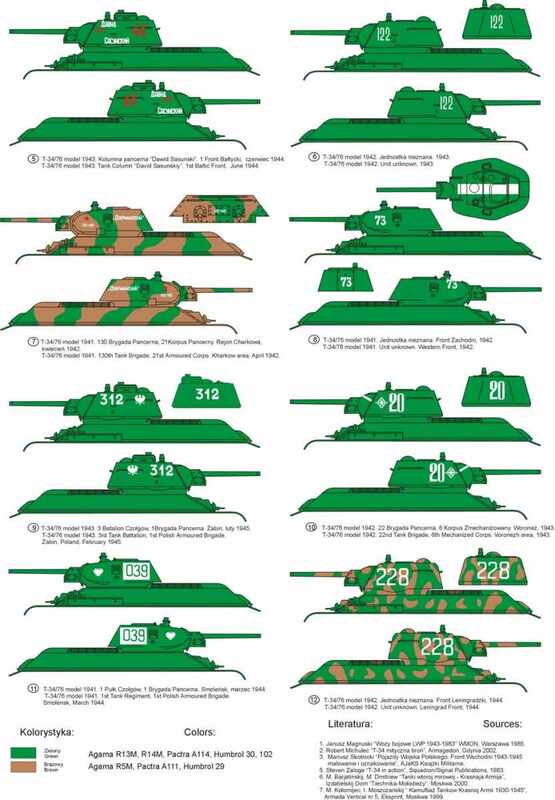 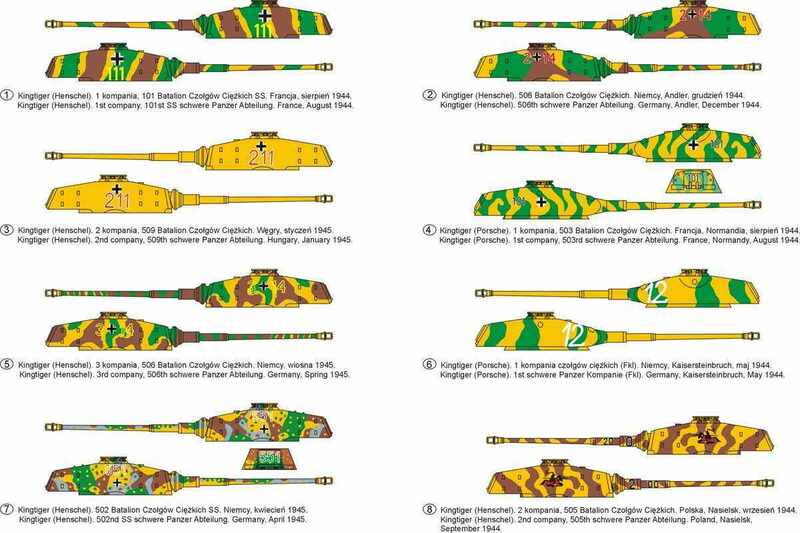 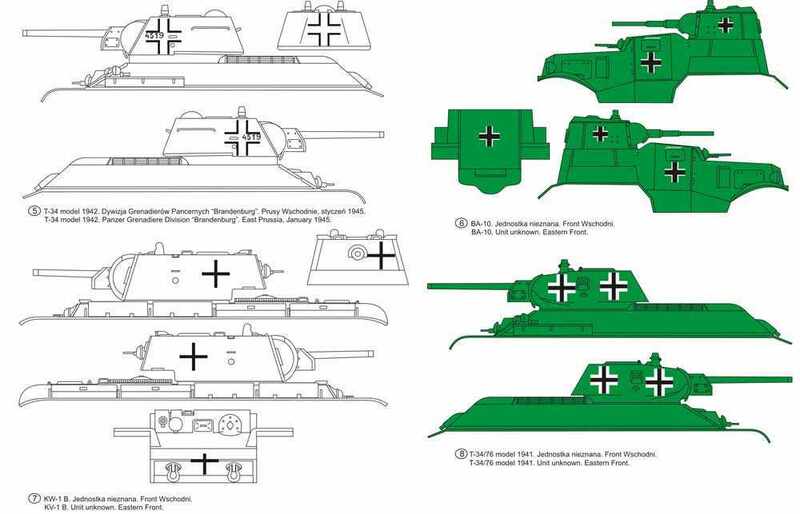 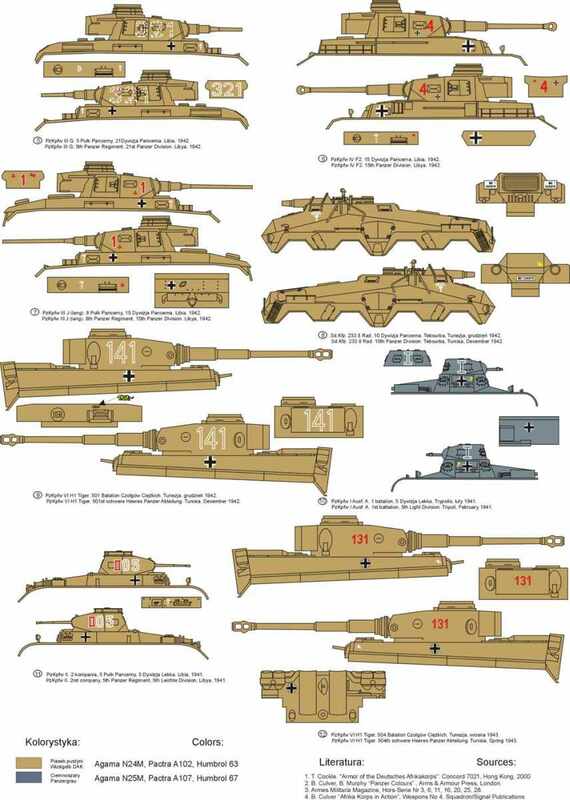 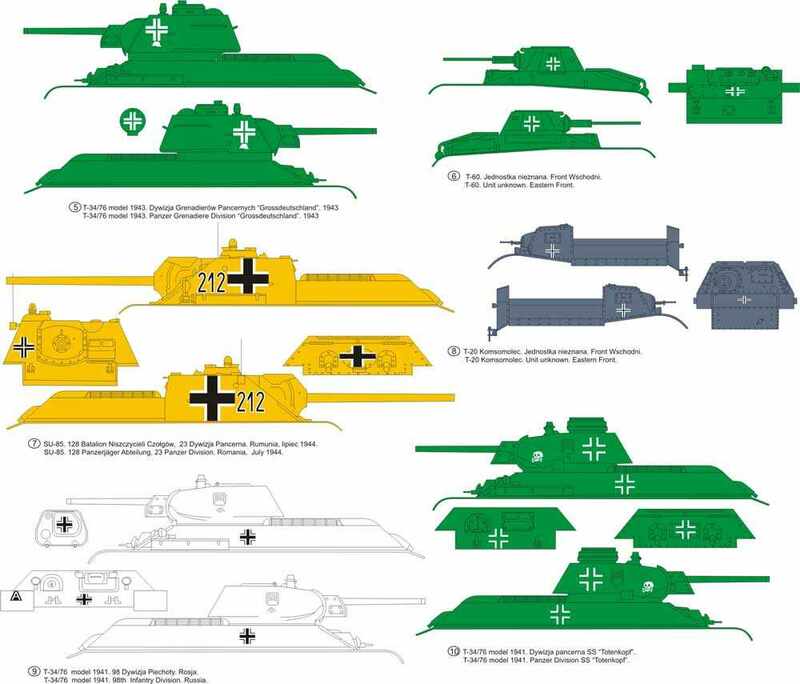 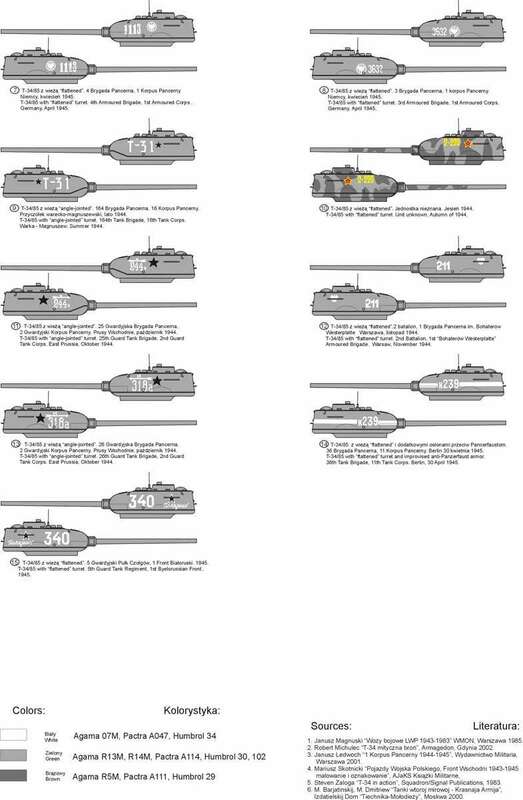 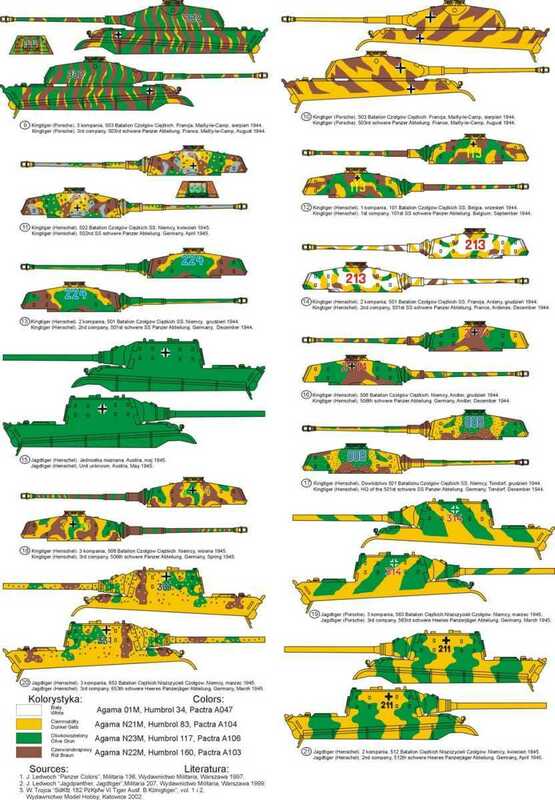 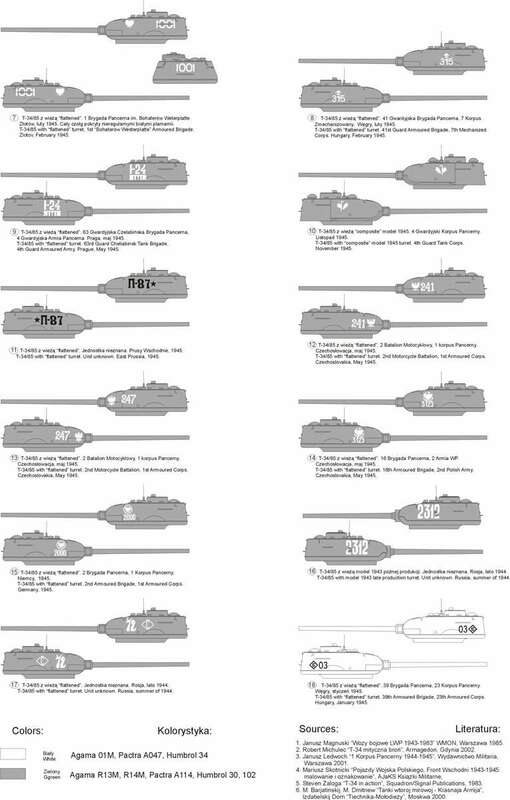 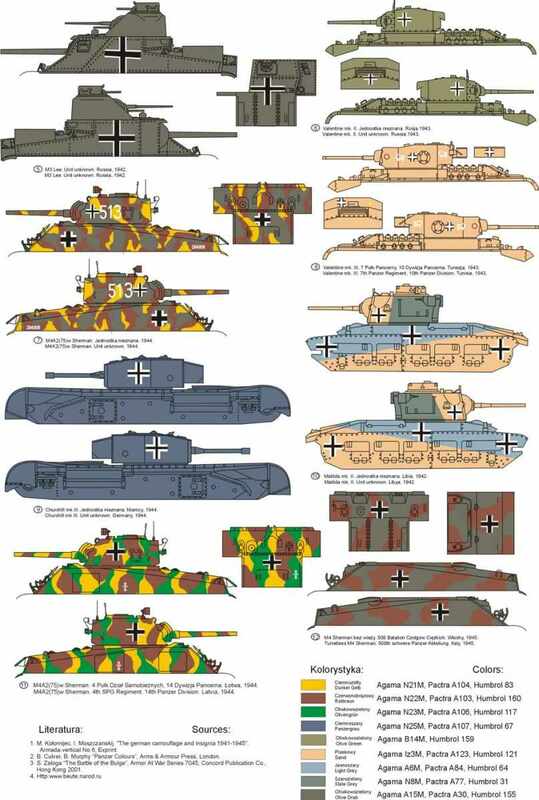 Kit 72427 - Confiscated vehicles (part 2) - Russian tanks in German service. 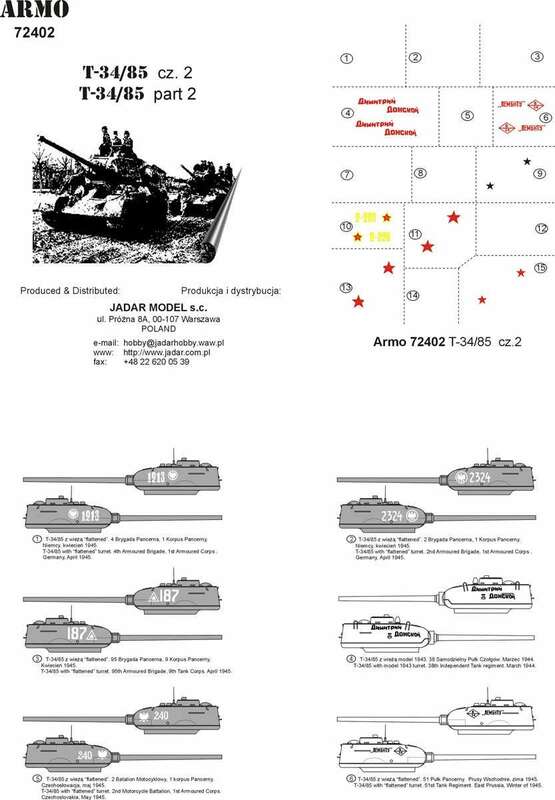 Kit 72428 - Confiscated vehicles (part 3) - Russian tanks in German service. 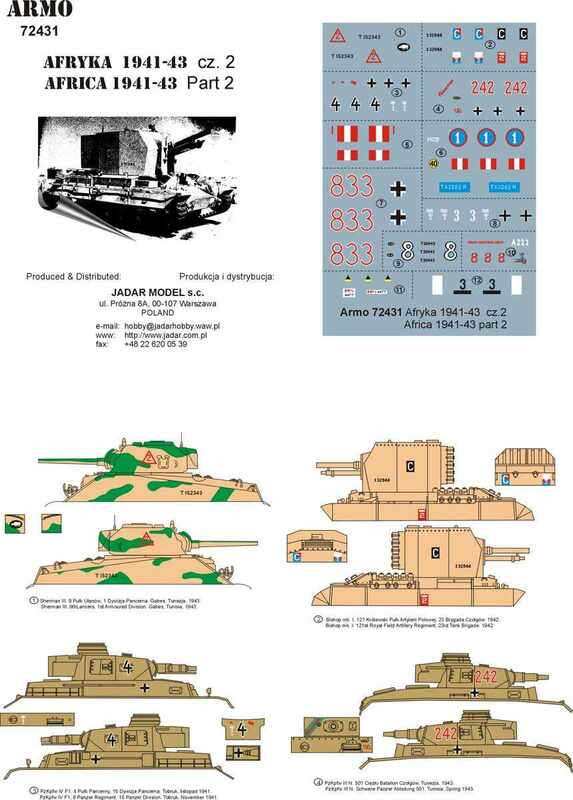 Kit 72429 - Confiscated Vehicles (part 4) - Russian tanks in German service. 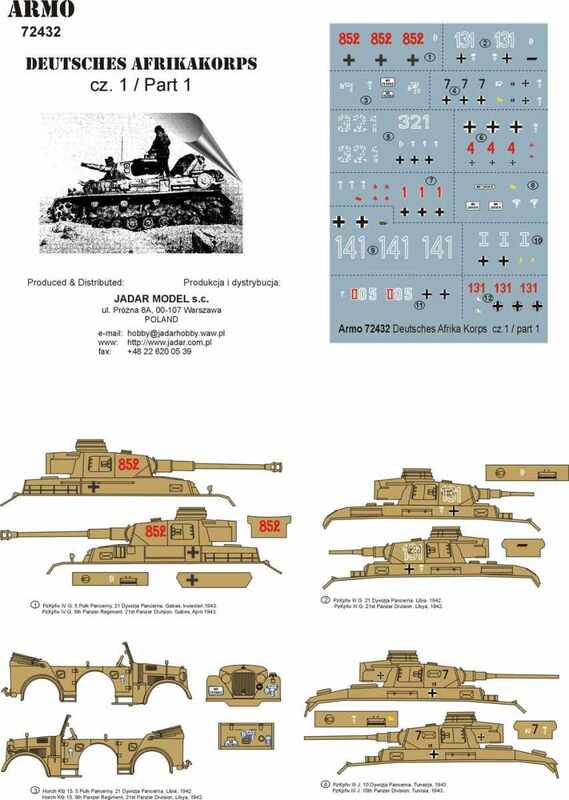 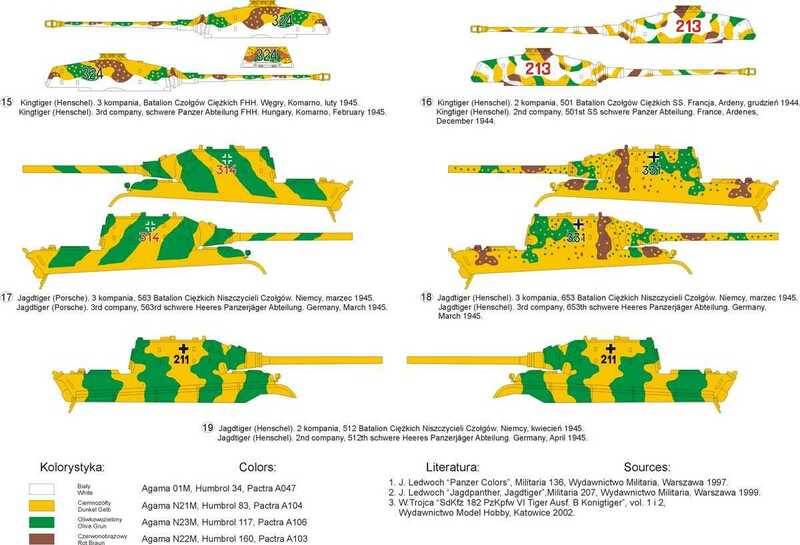 Kit 72430 - Africa 1941-43 (part 1). 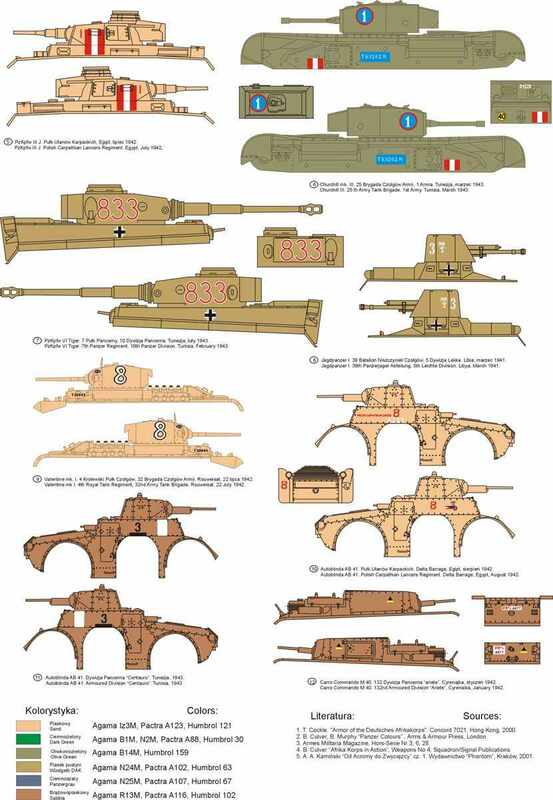 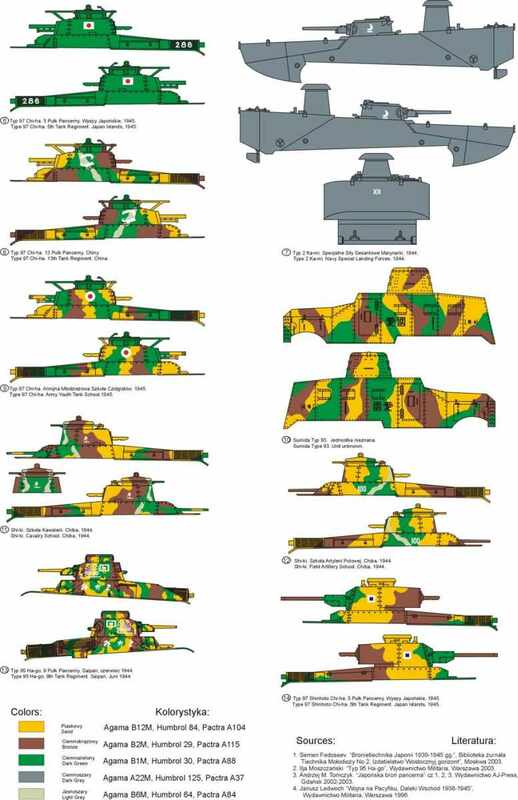 Kit 72431 - Africa 1941-43 (part 2). 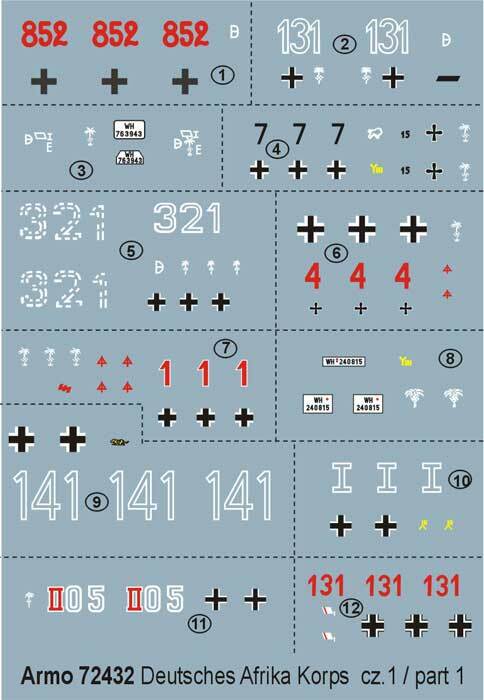 Kit 72432 - Deutsches Afrika Korps (part 1). 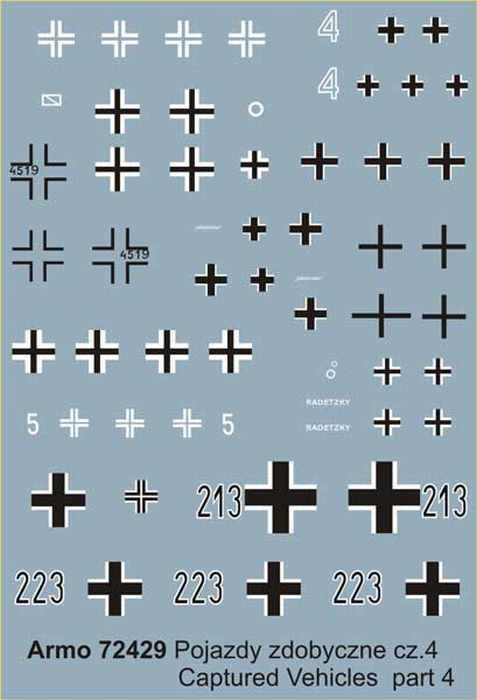 Kit 72433 - Deutsches Afrika Korps (part 2) - no pictures. 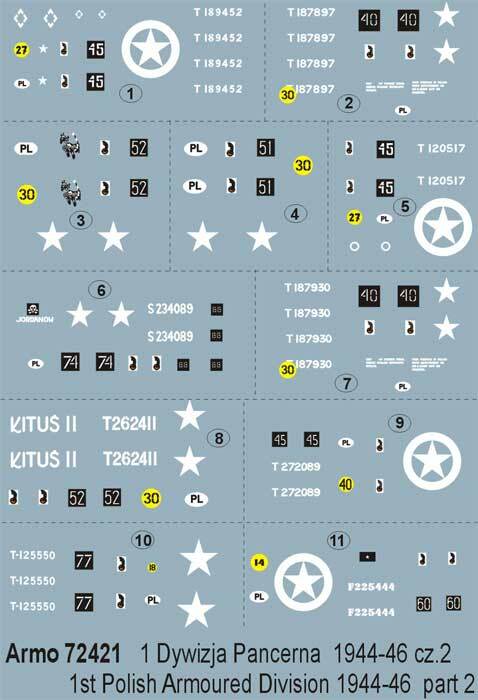 Kit 72434 - Confiscated vehicles (part 5). 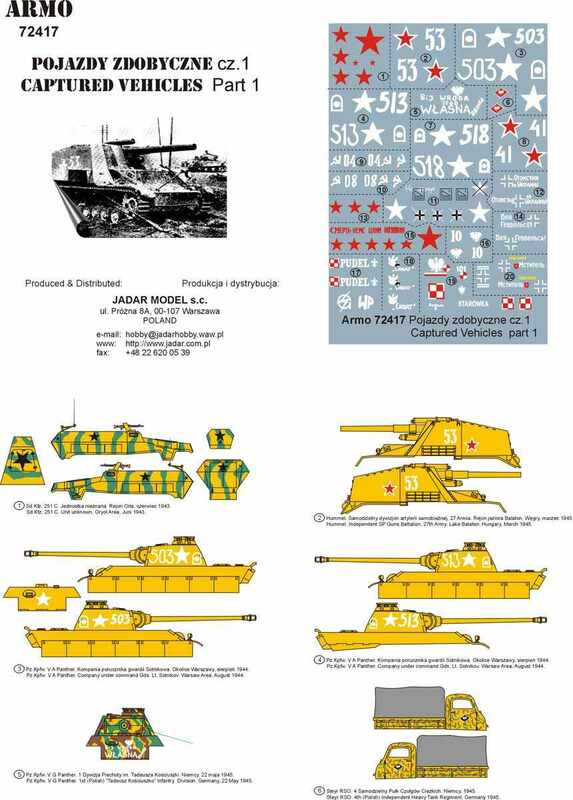 Kit 72435 - Confiscated vehicles (part 6) - no pictures. 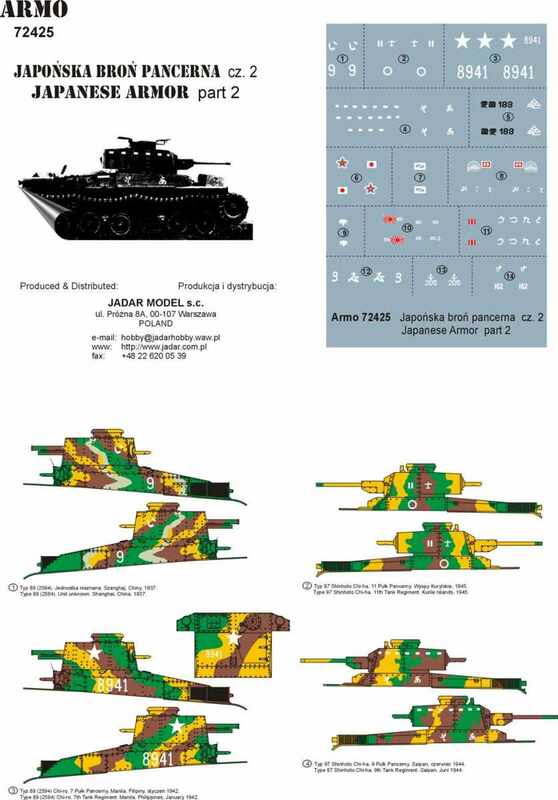 Kit 72436 - T-34/76 (part 1).